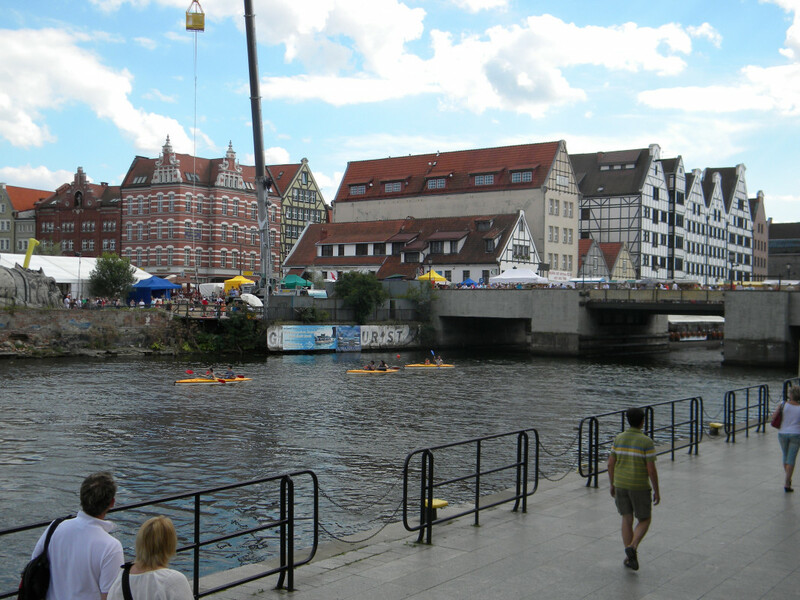 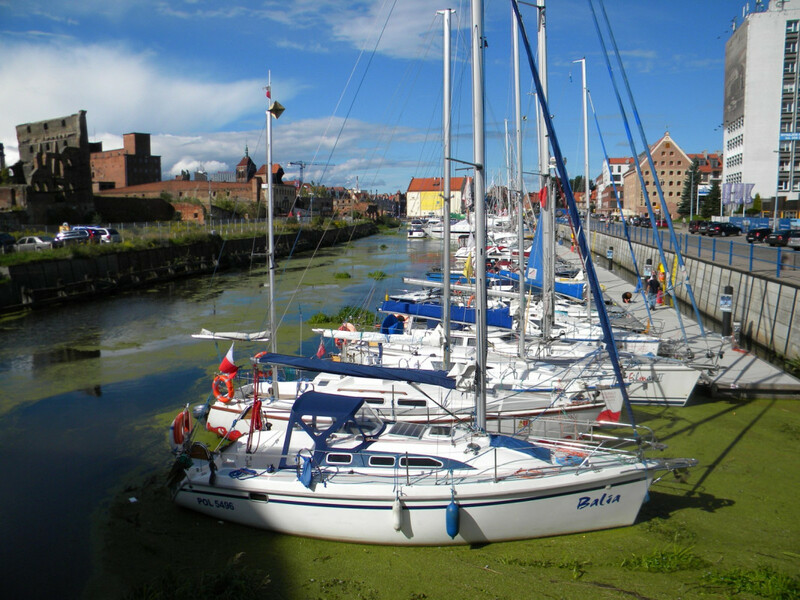 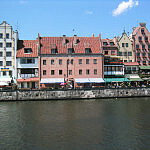 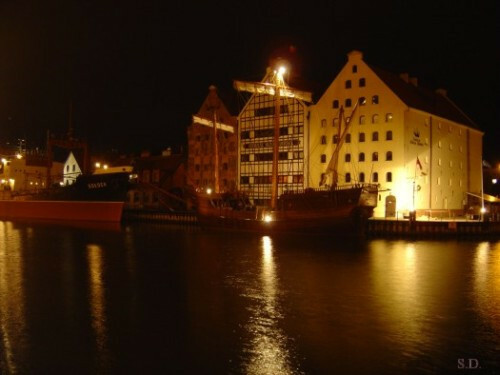 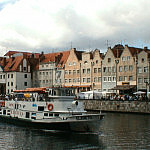 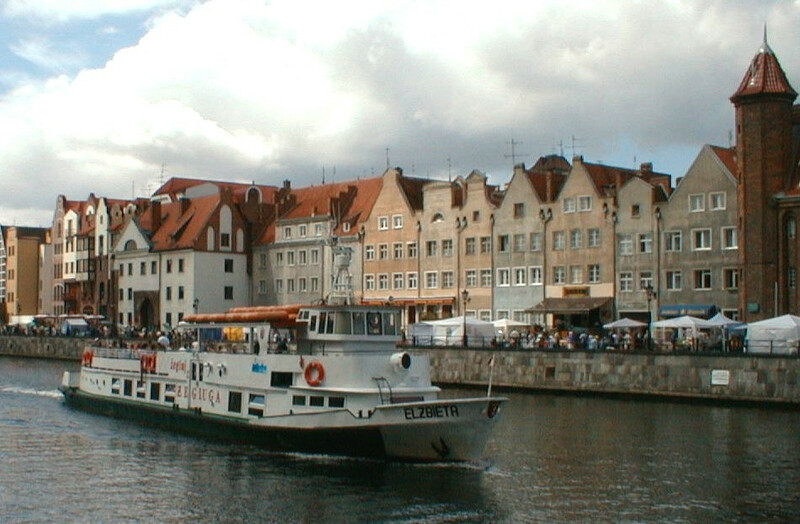 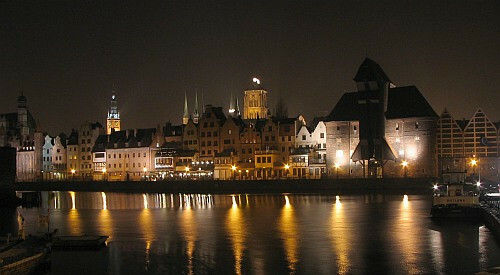 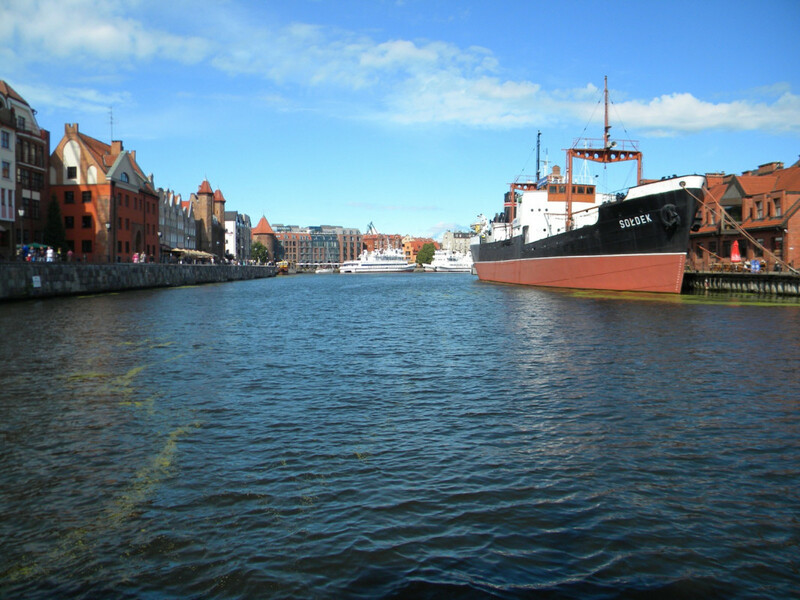 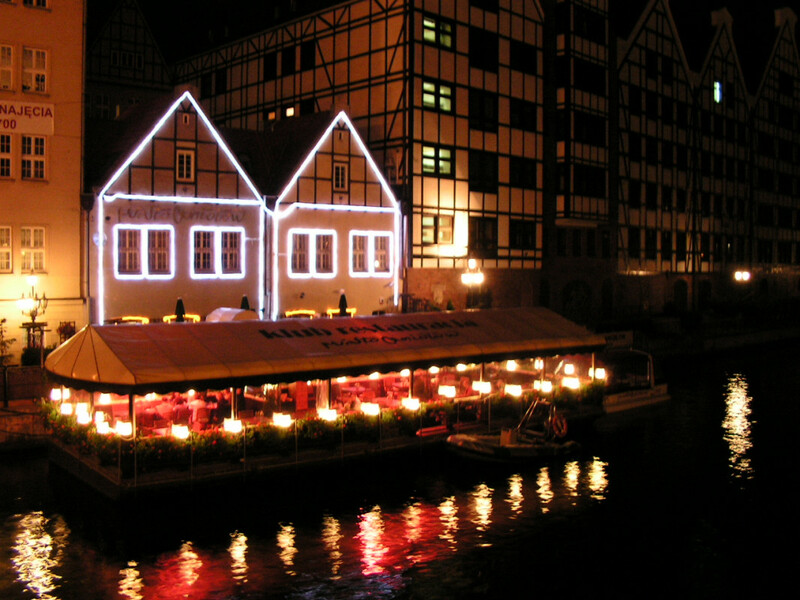 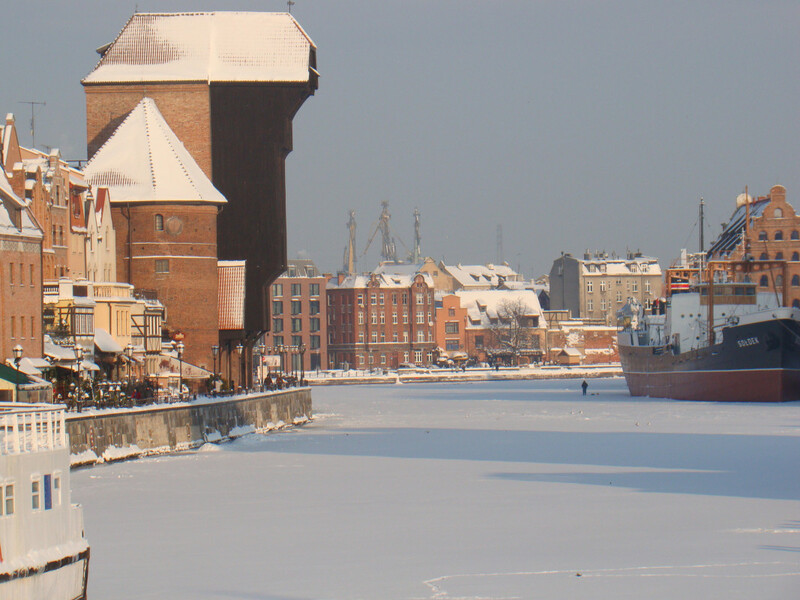 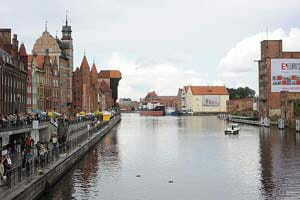 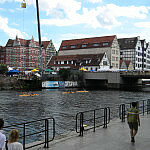 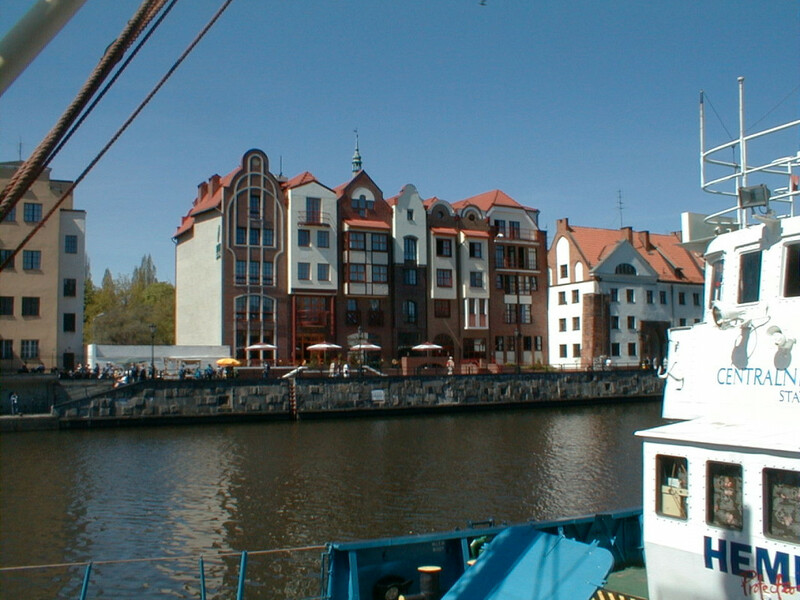 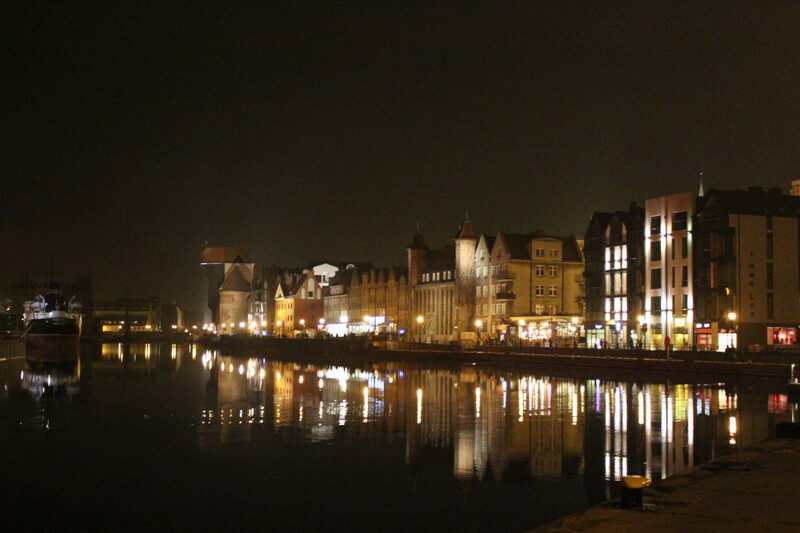 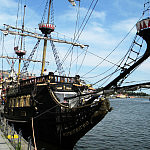 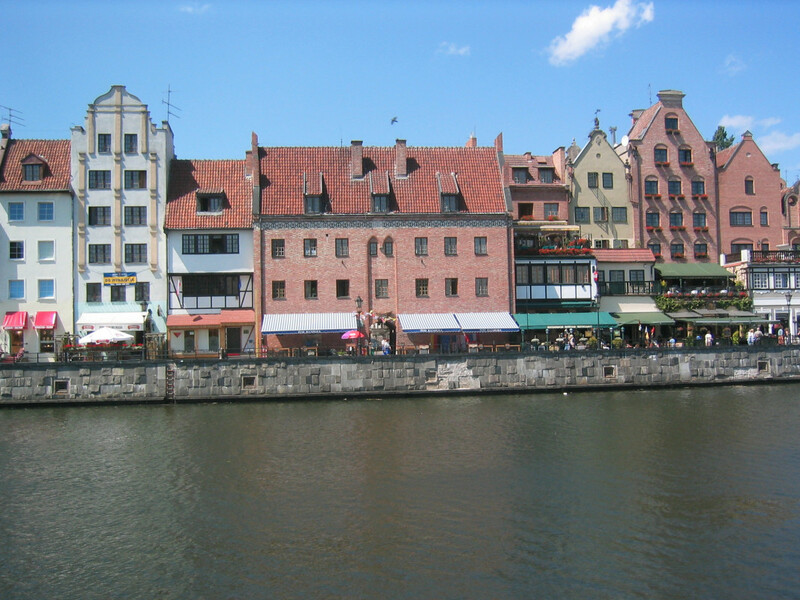 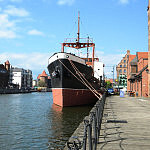 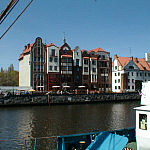 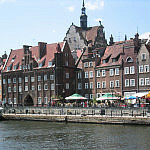 The Quayside, running along the Motława. 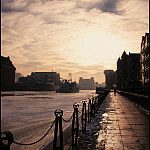 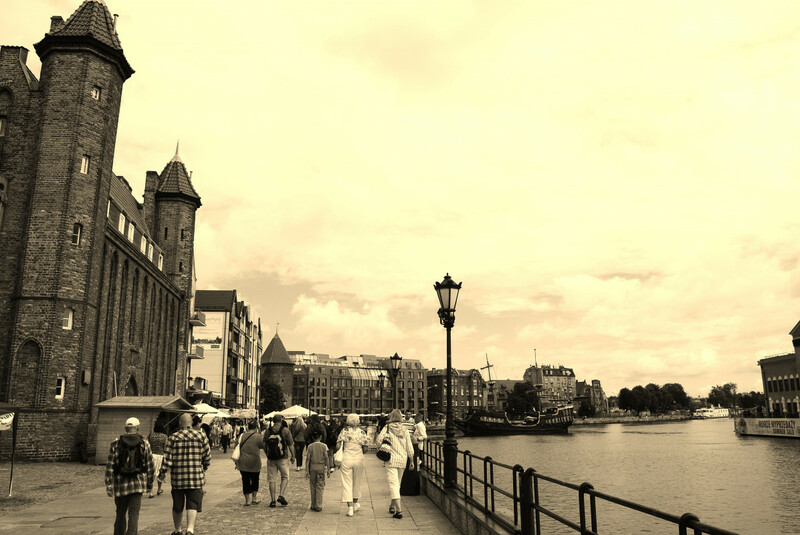 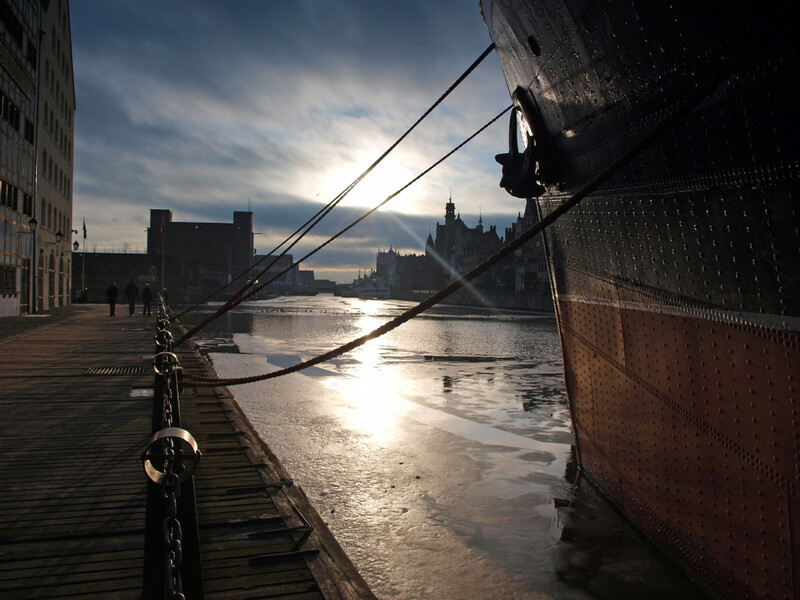 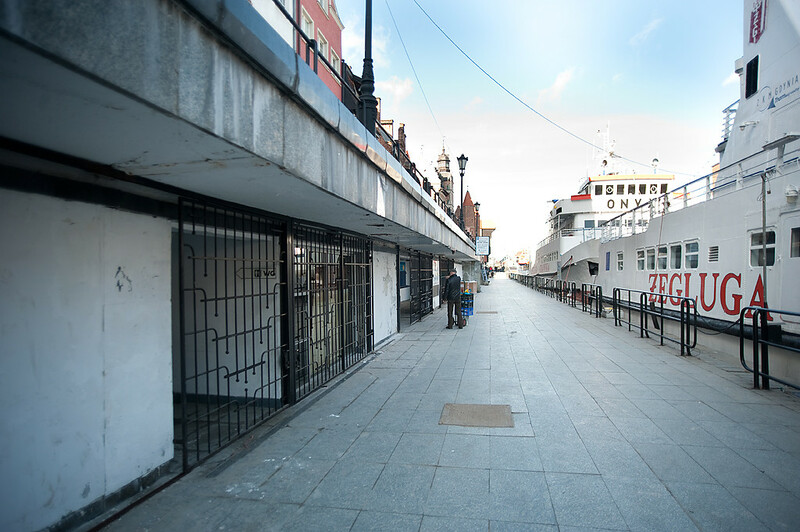 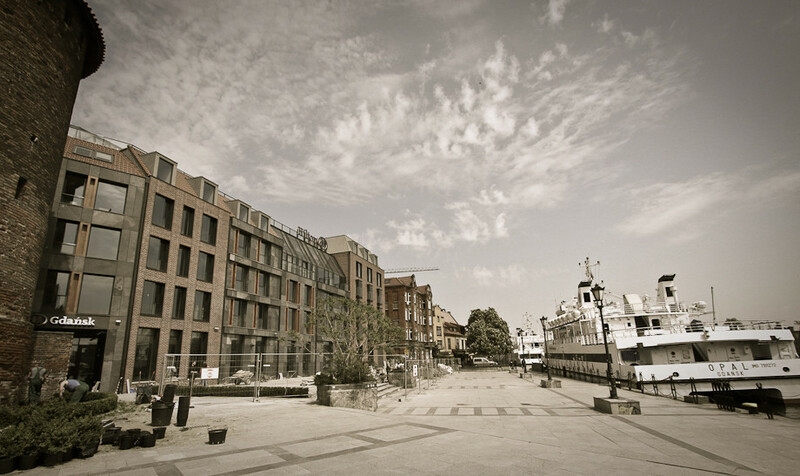 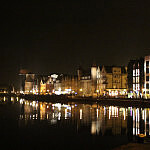 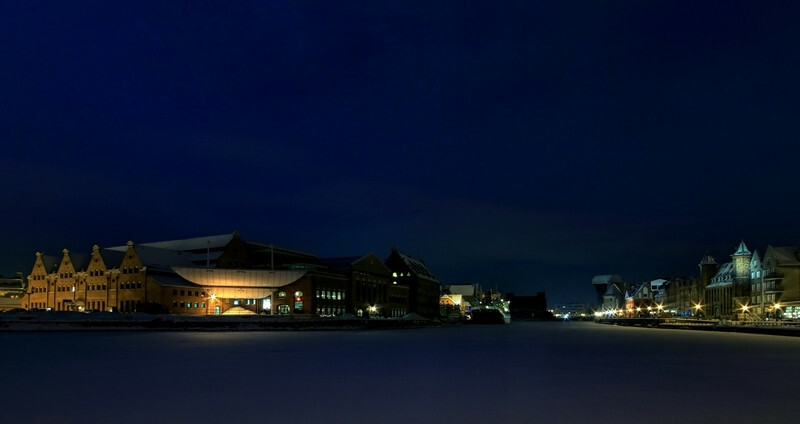 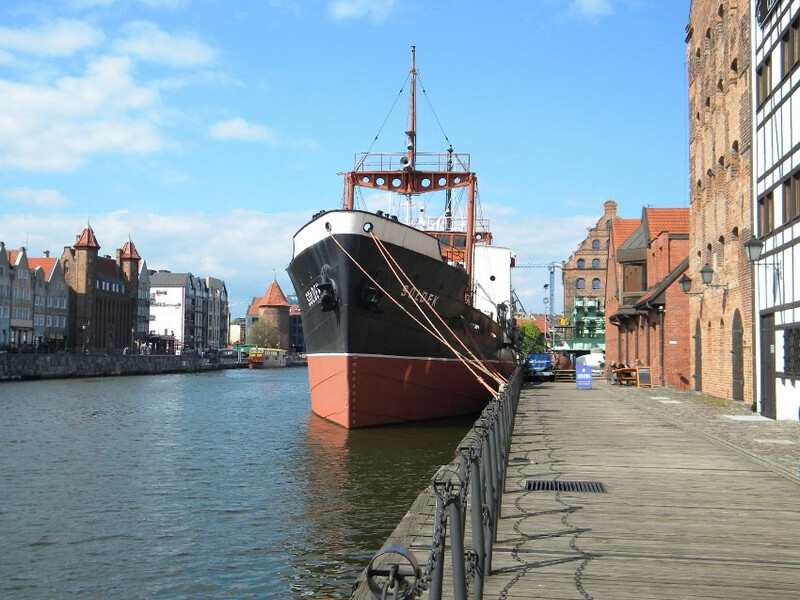 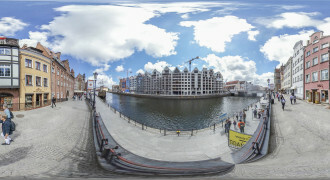 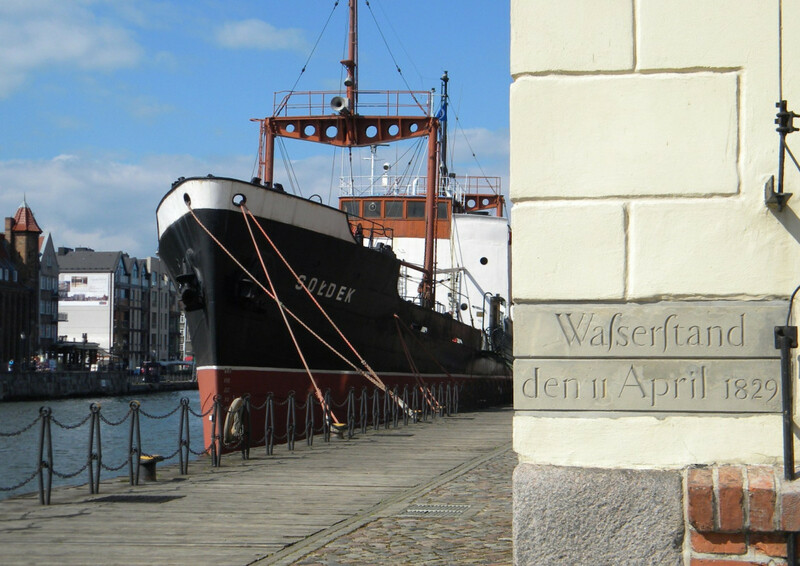 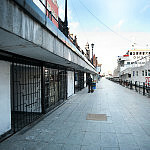 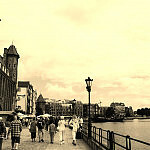 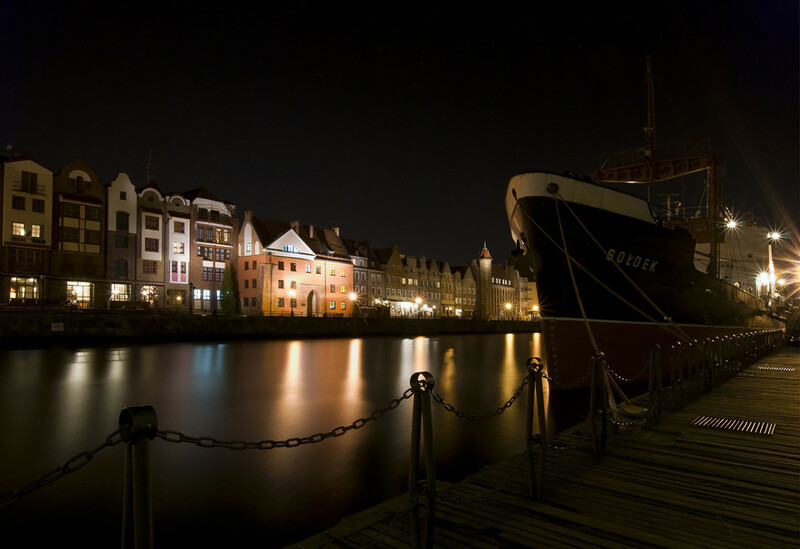 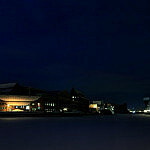 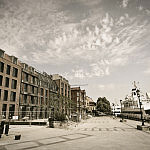 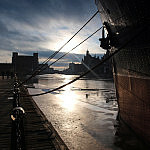 After the destruction of 1945, the quayside has been lovingly resorted to its original form. 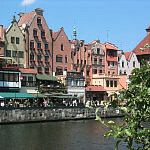 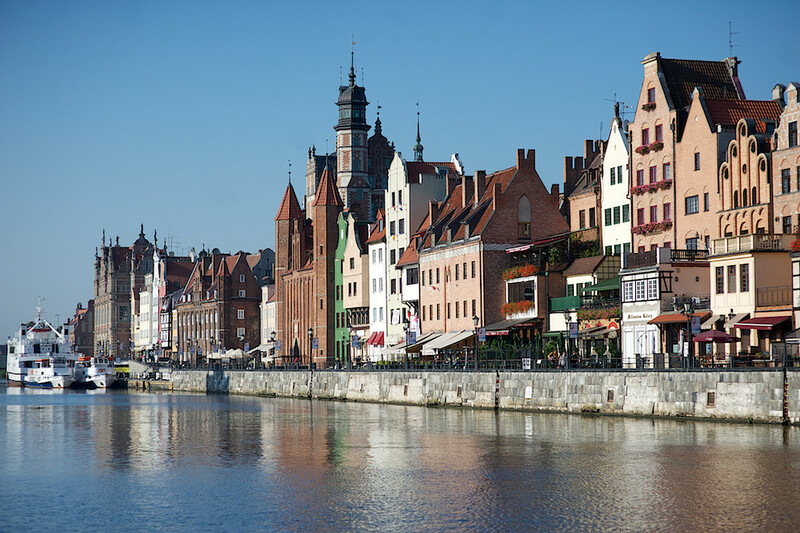 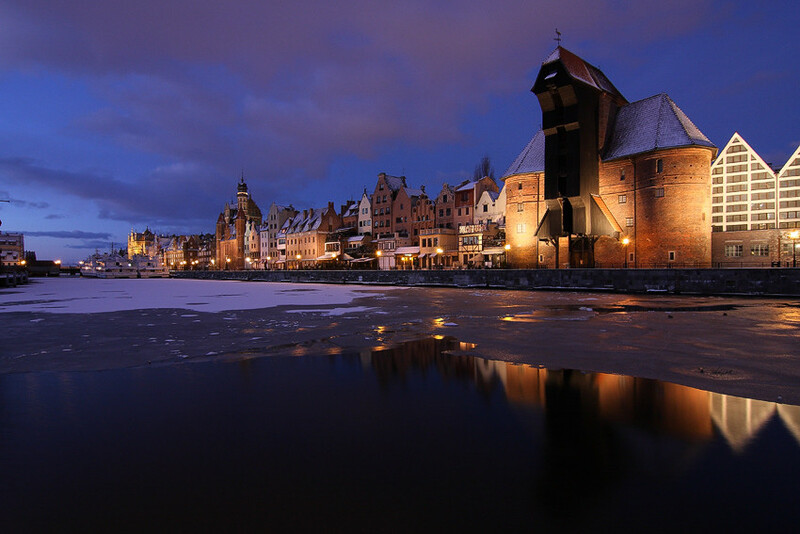 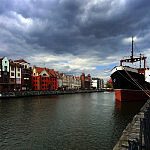 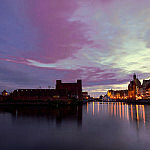 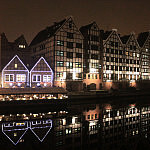 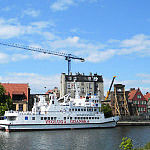 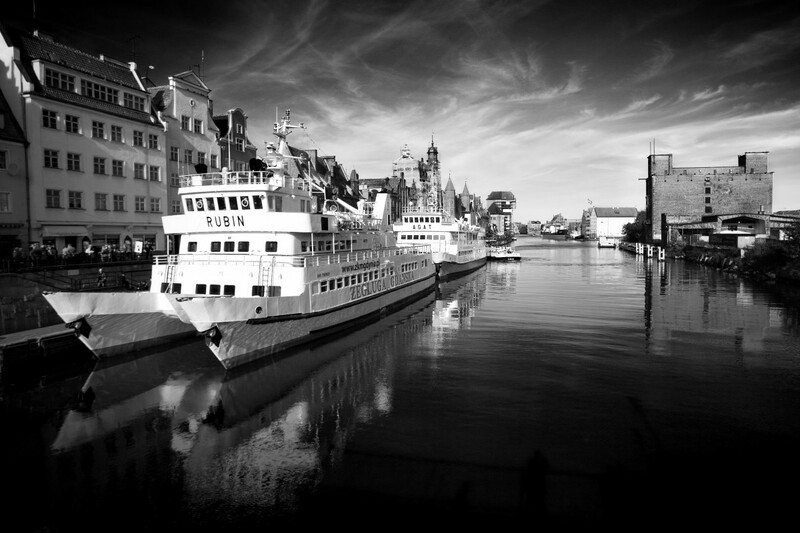 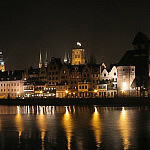 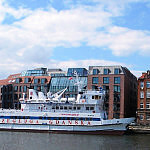 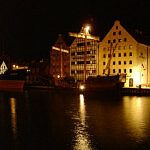 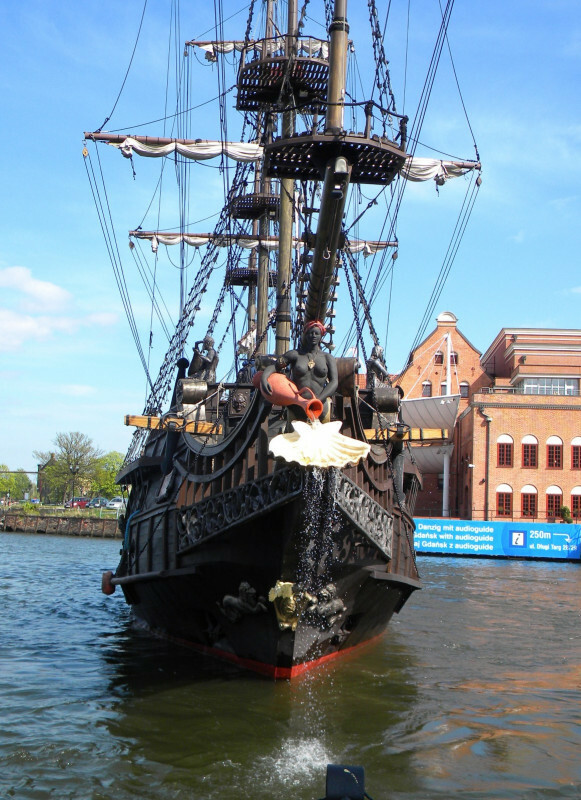 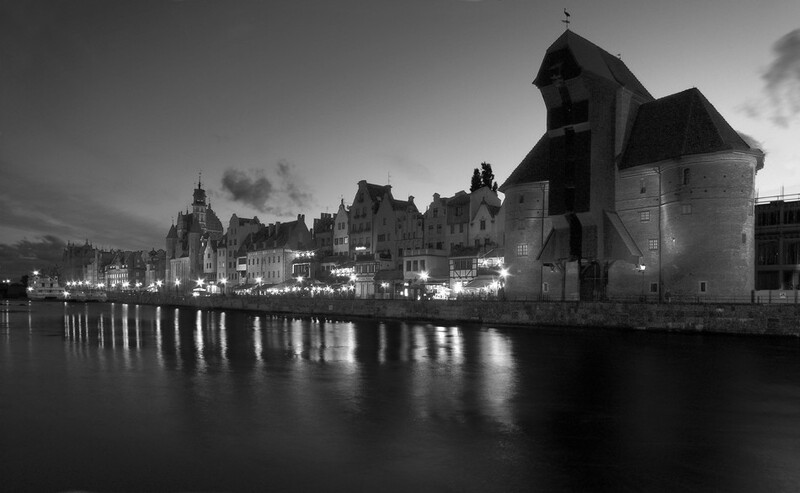 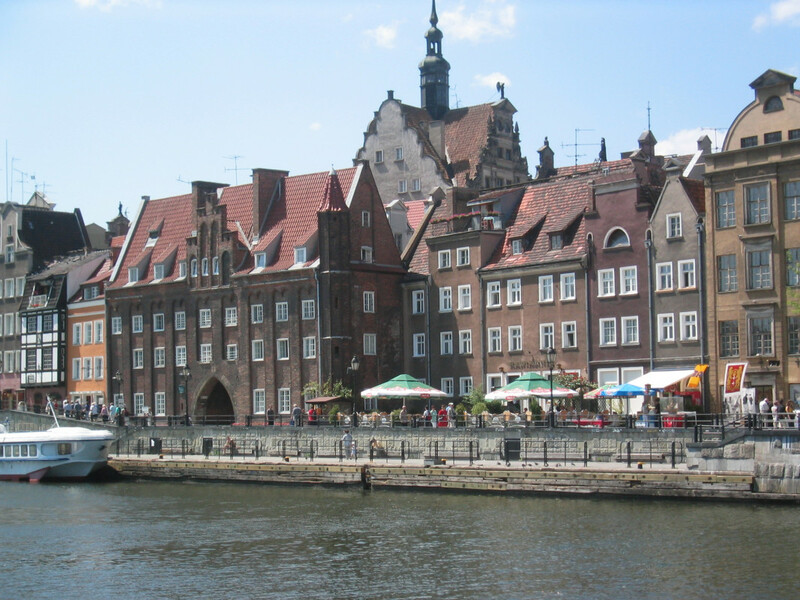 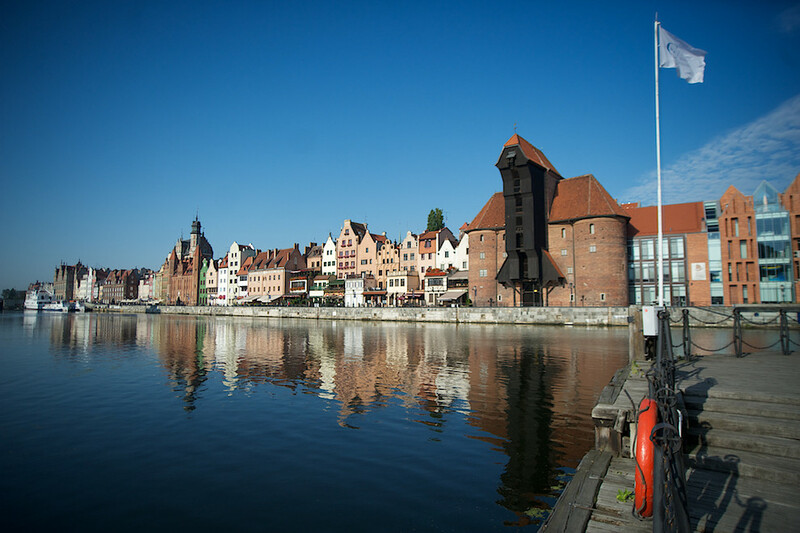 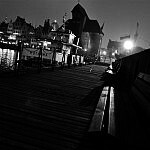 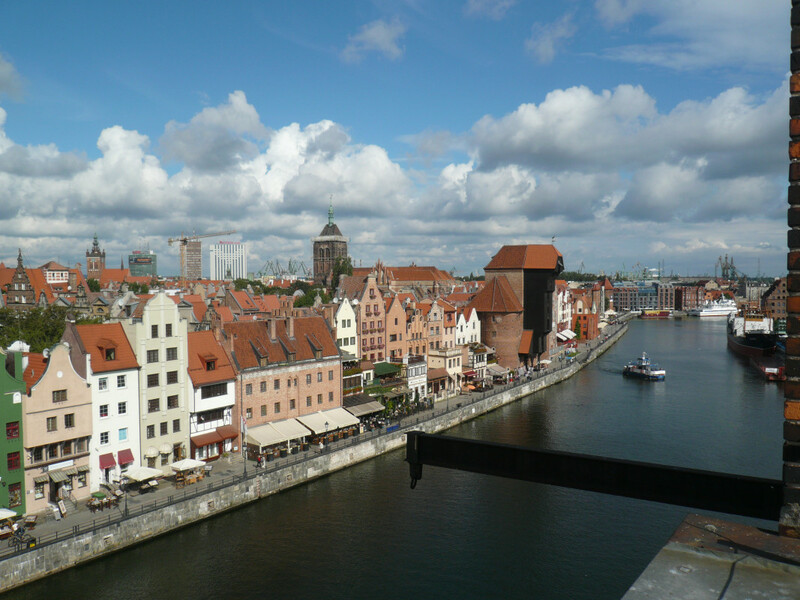 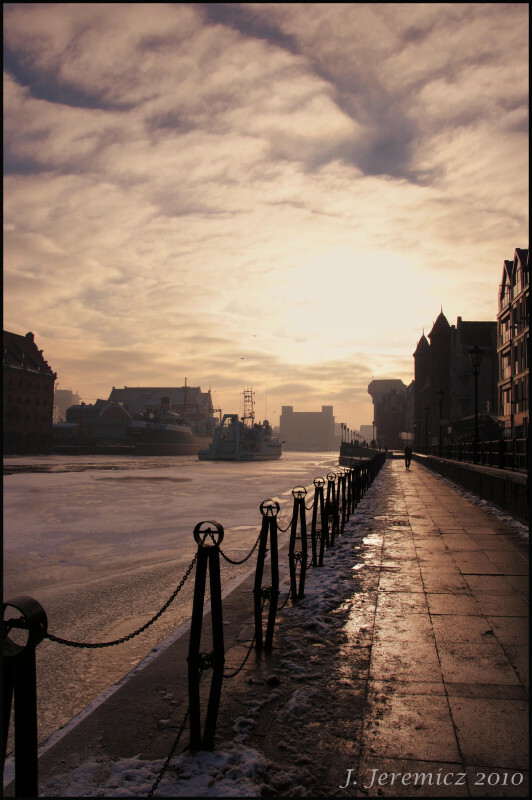 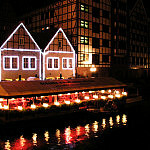 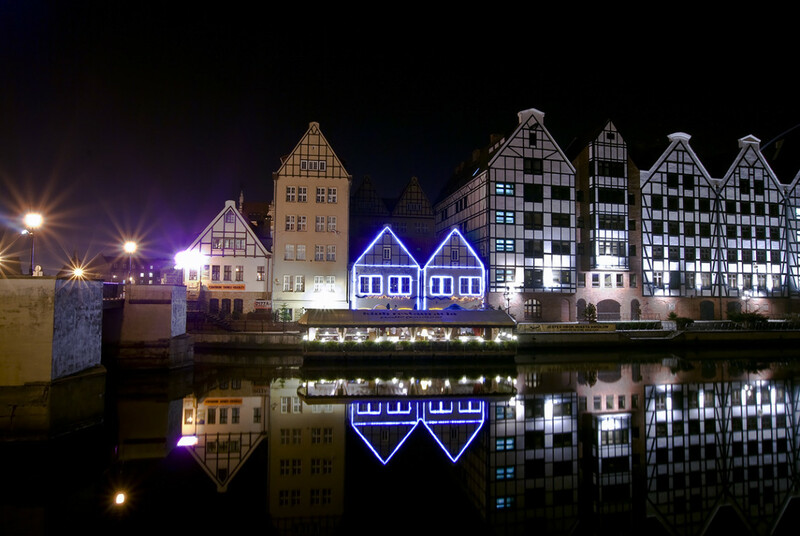 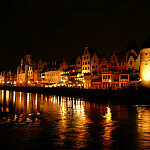 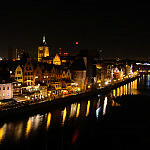 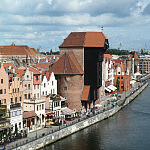 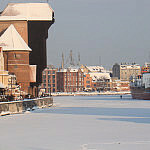 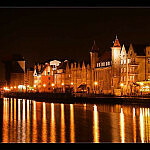 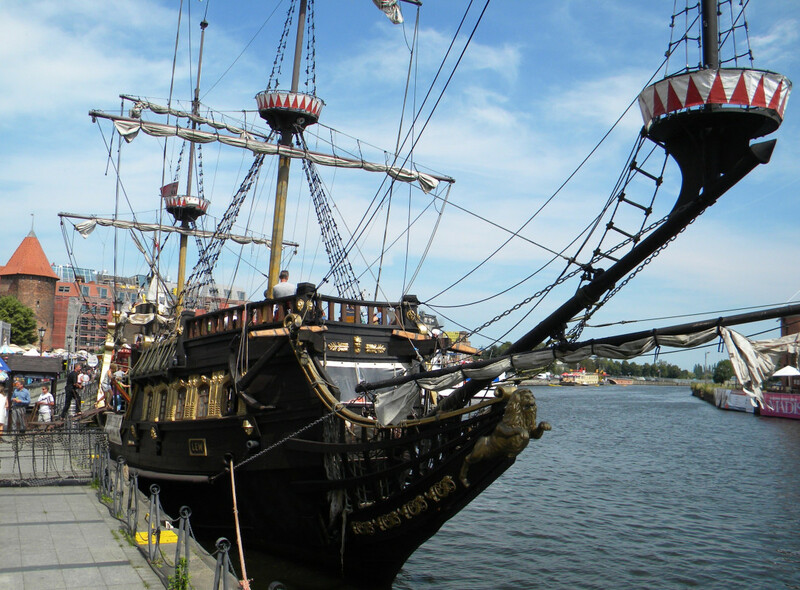 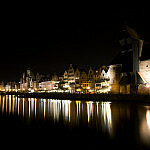 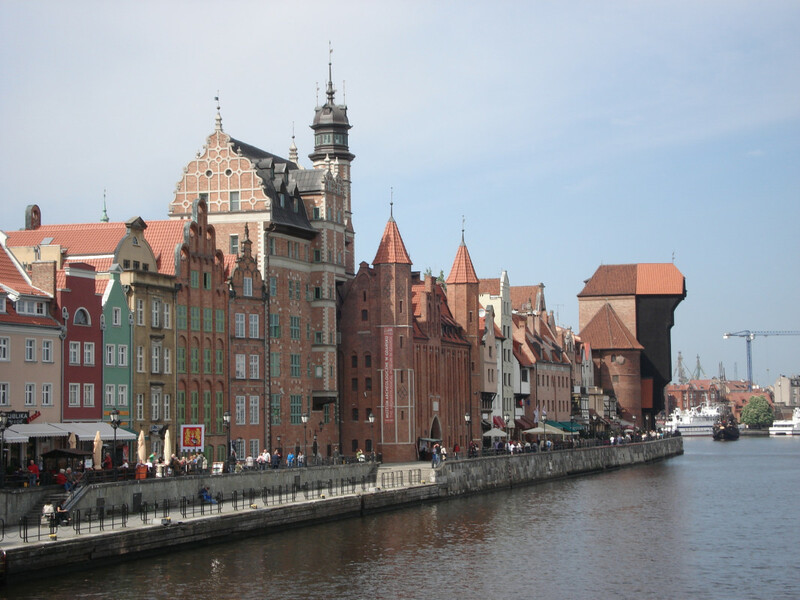 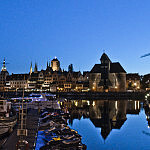 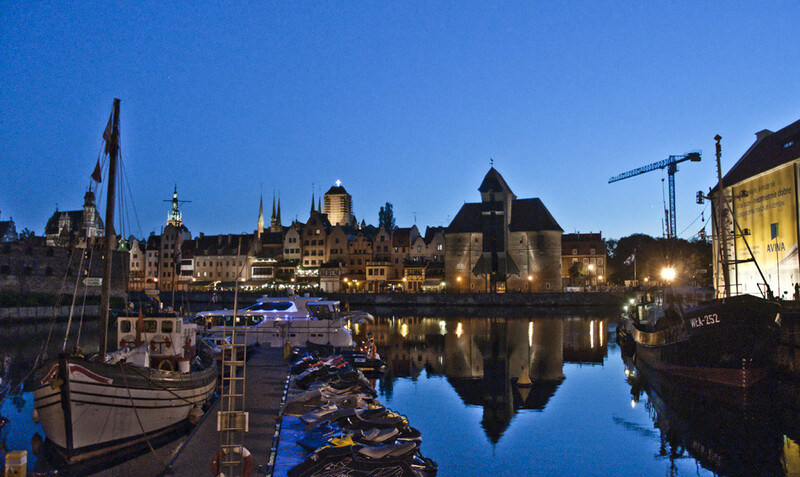 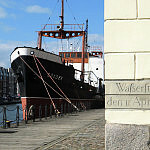 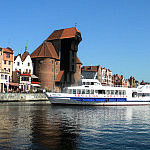 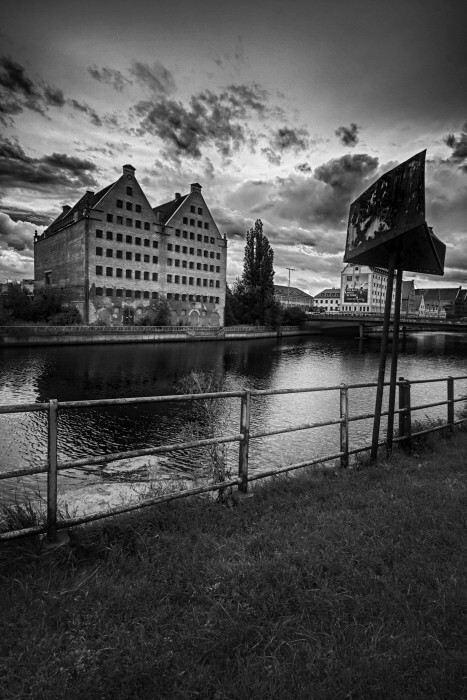 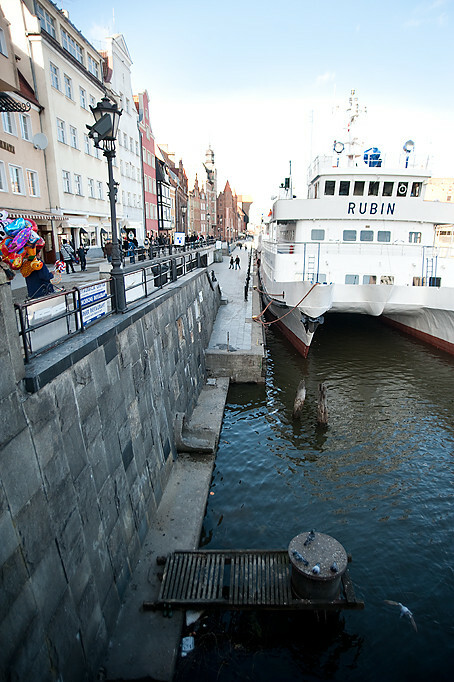 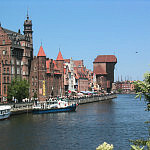 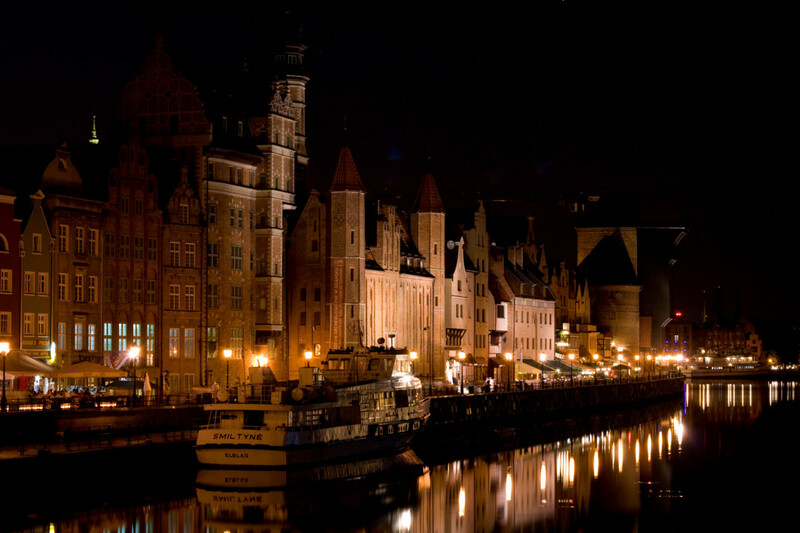 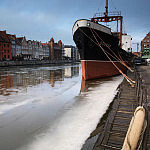 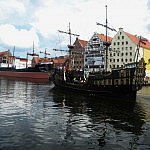 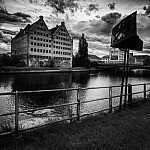 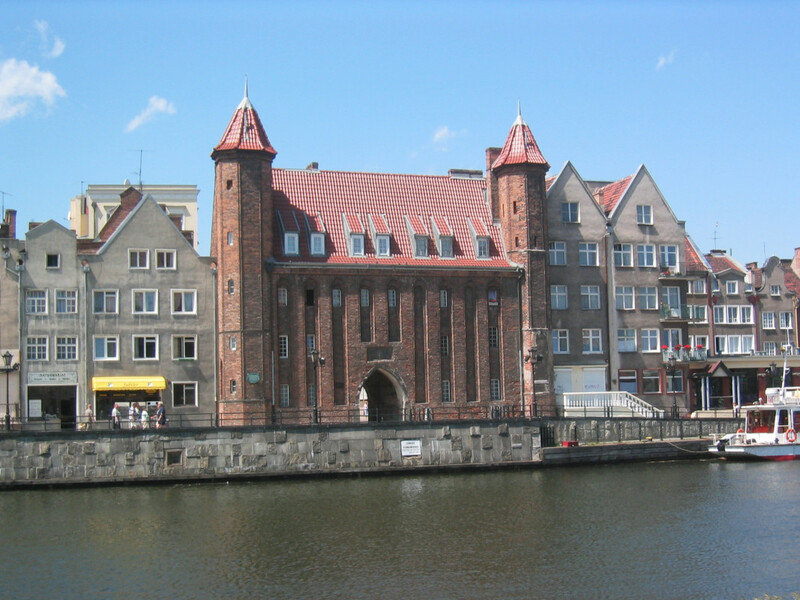 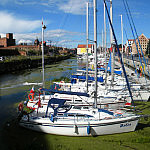 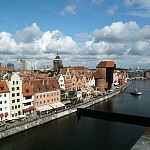 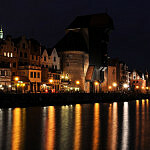 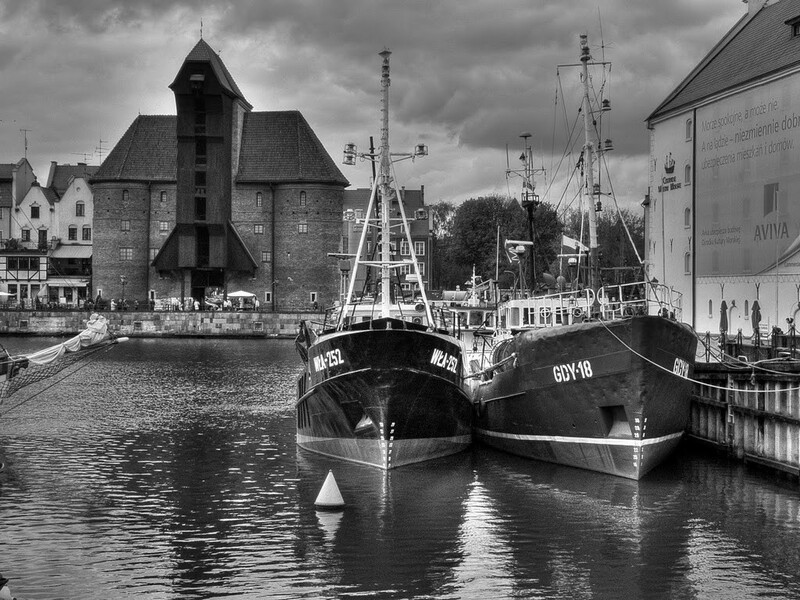 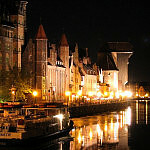 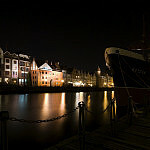 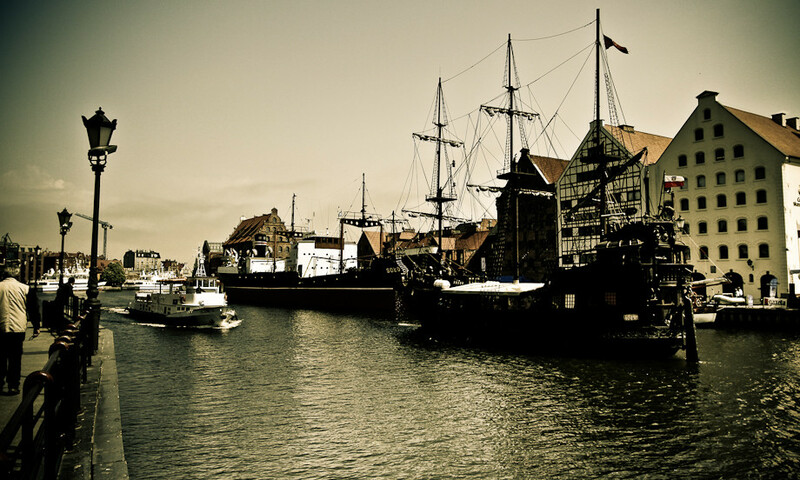 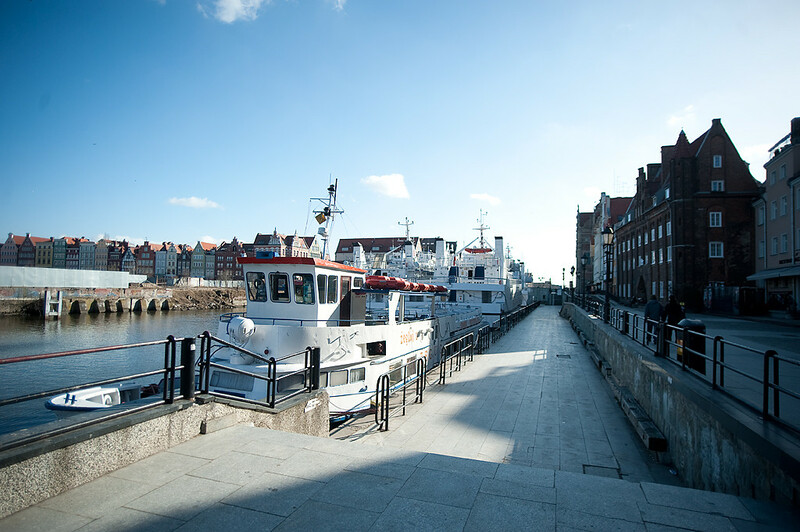 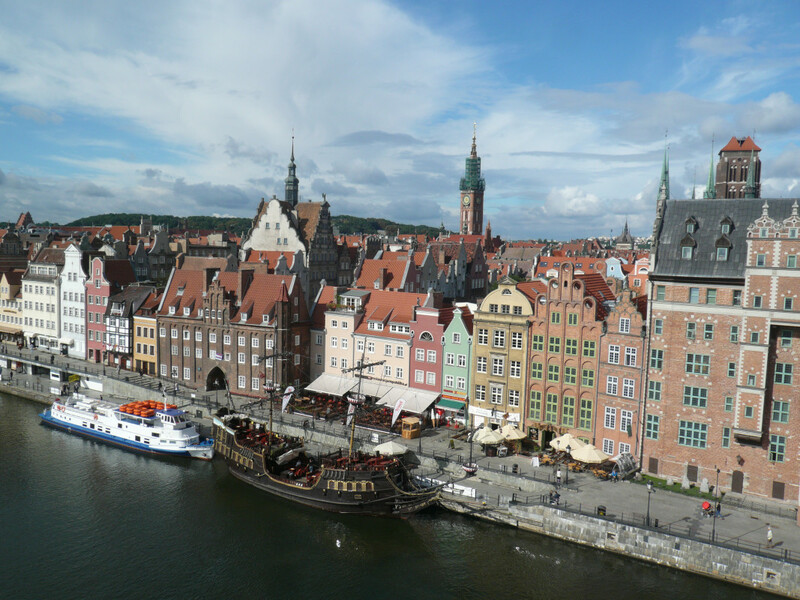 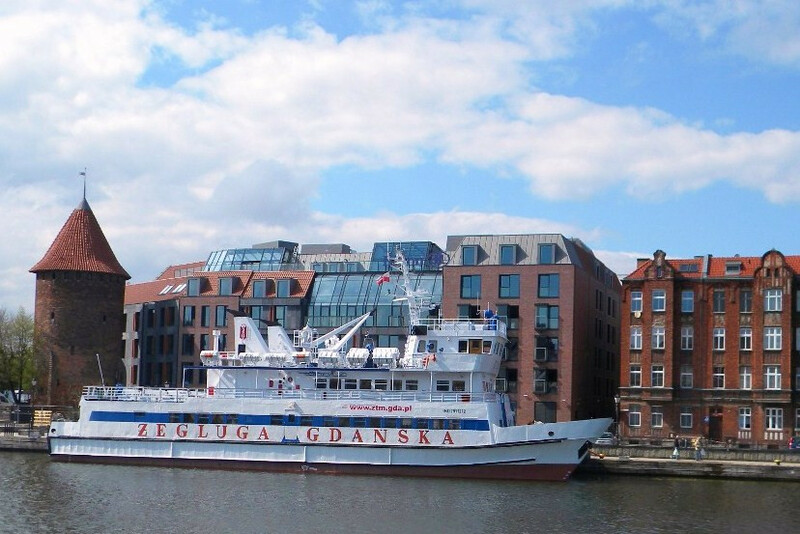 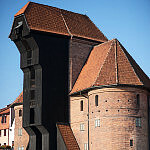 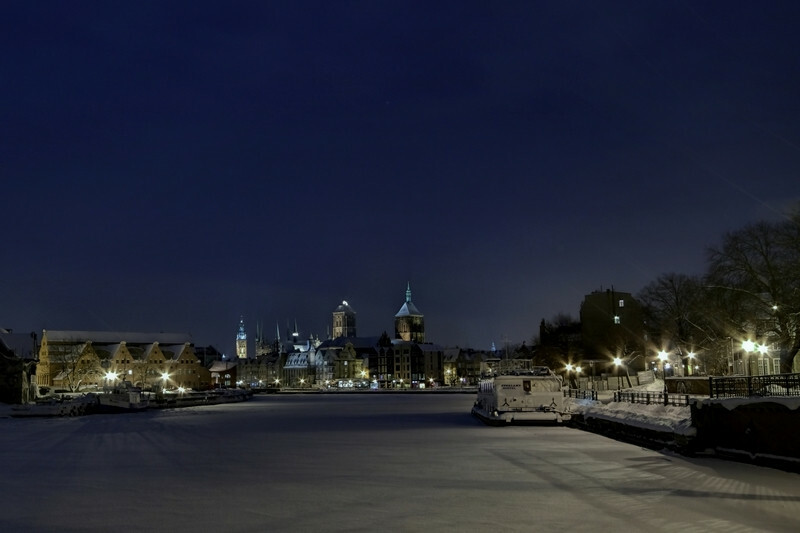 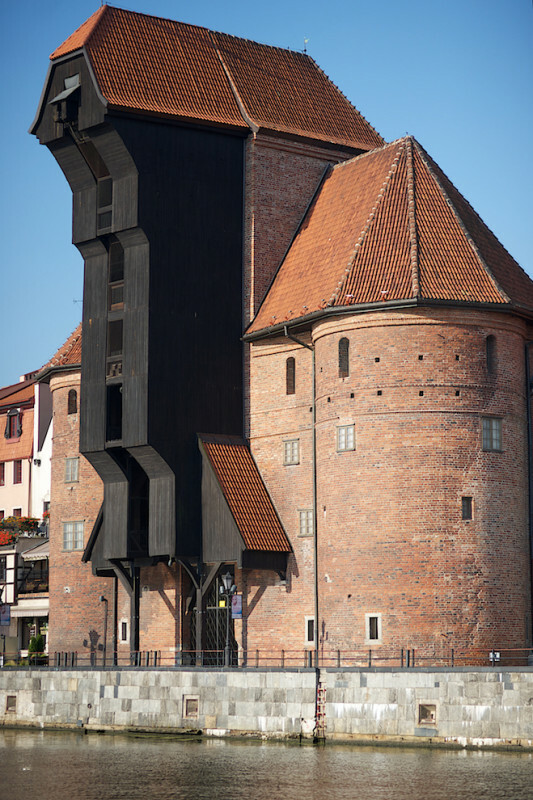 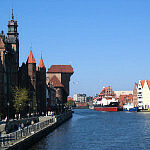 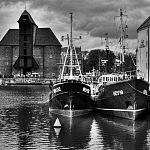 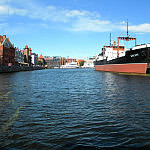 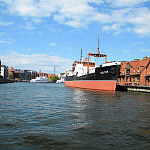 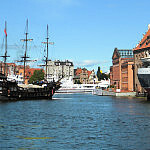 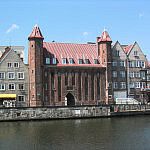 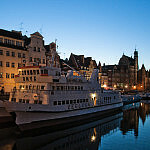 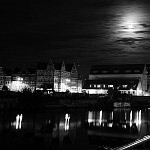 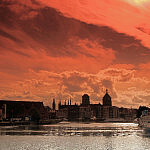 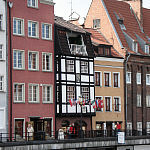 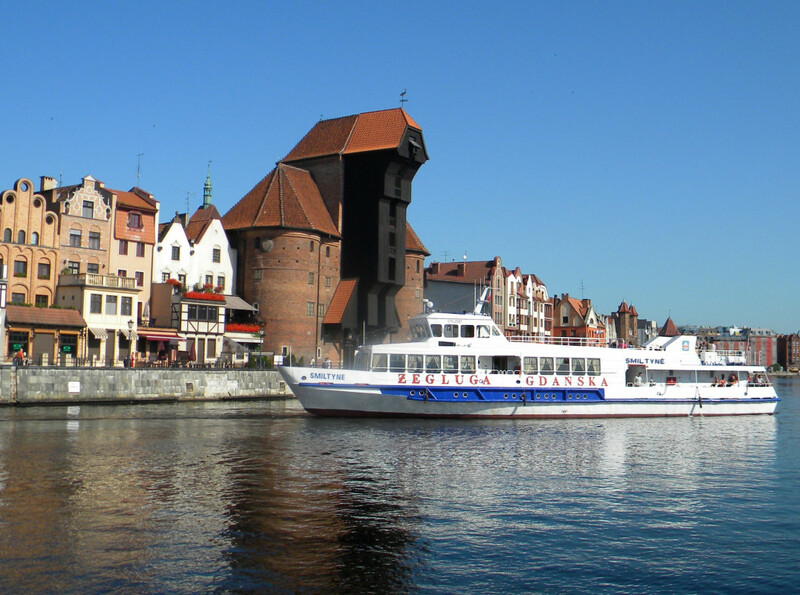 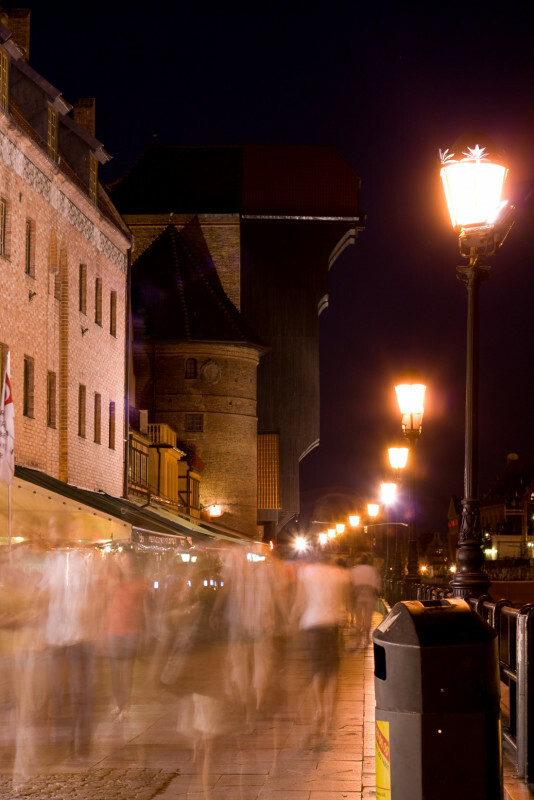 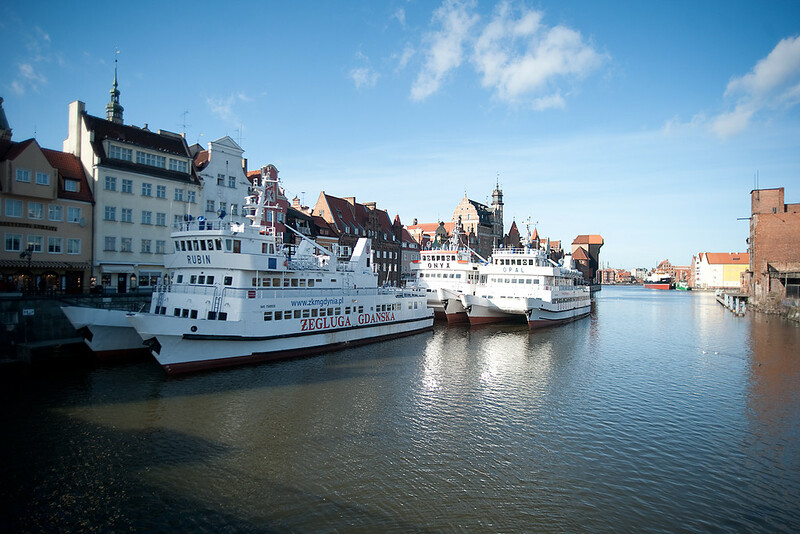 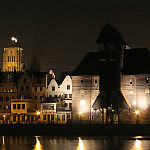 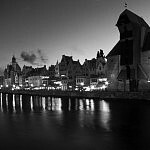 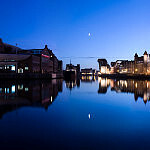 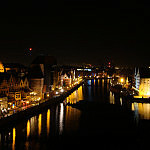 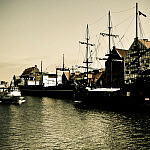 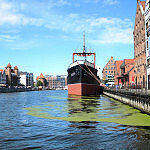 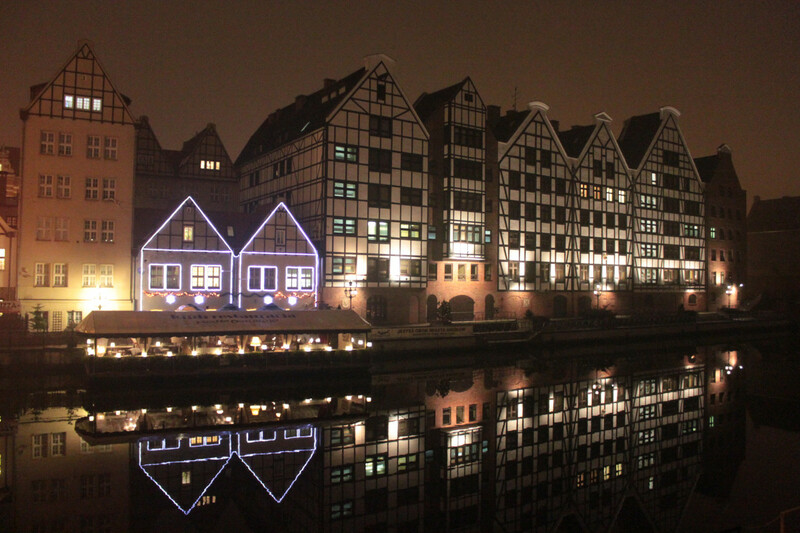 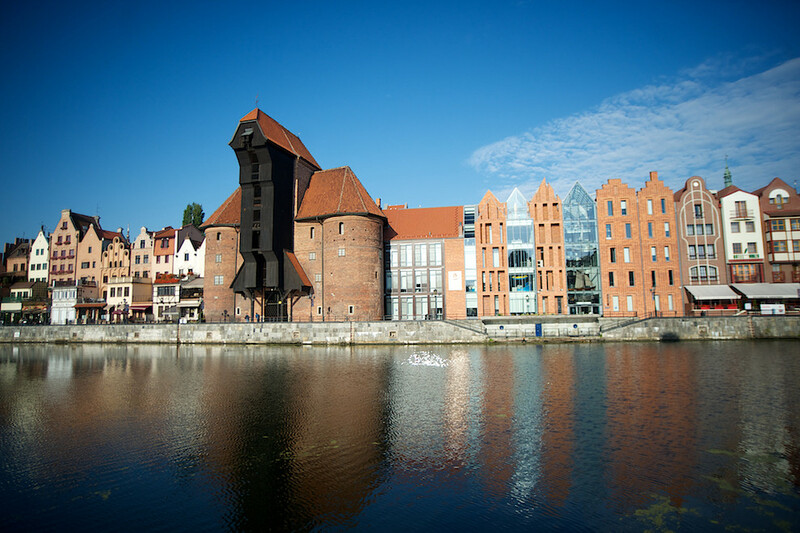 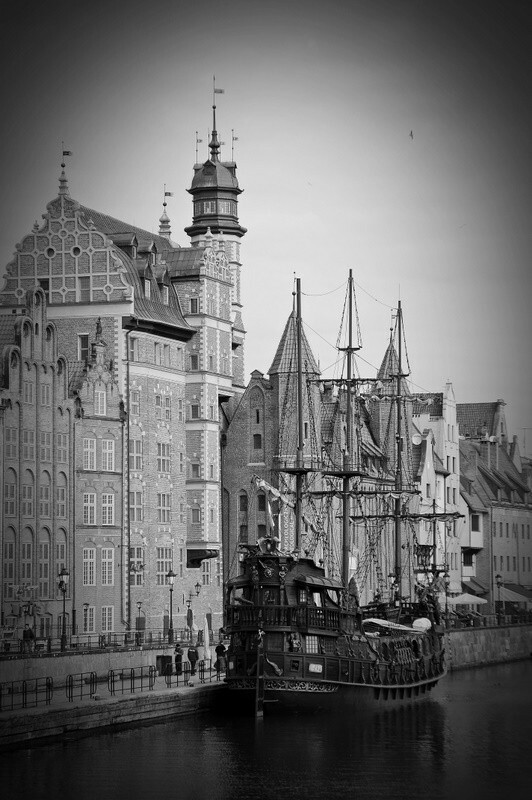 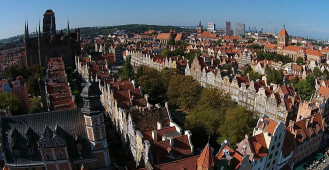 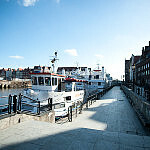 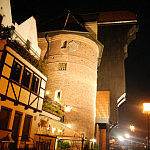 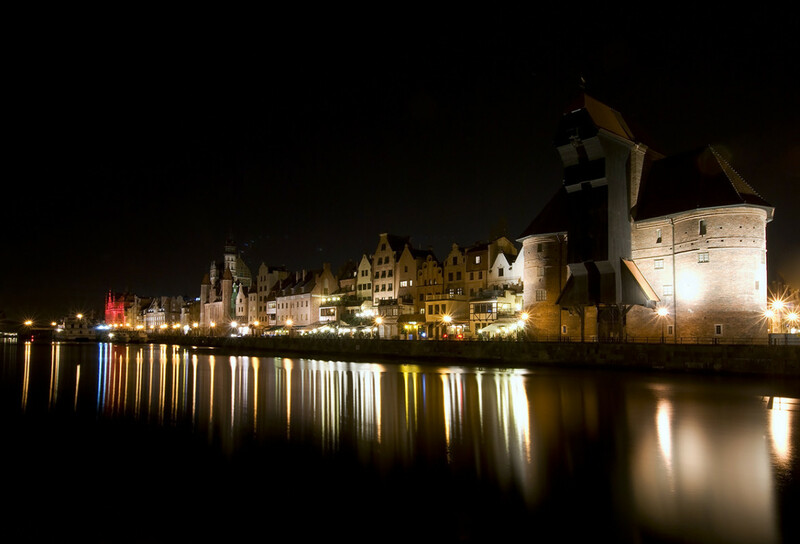 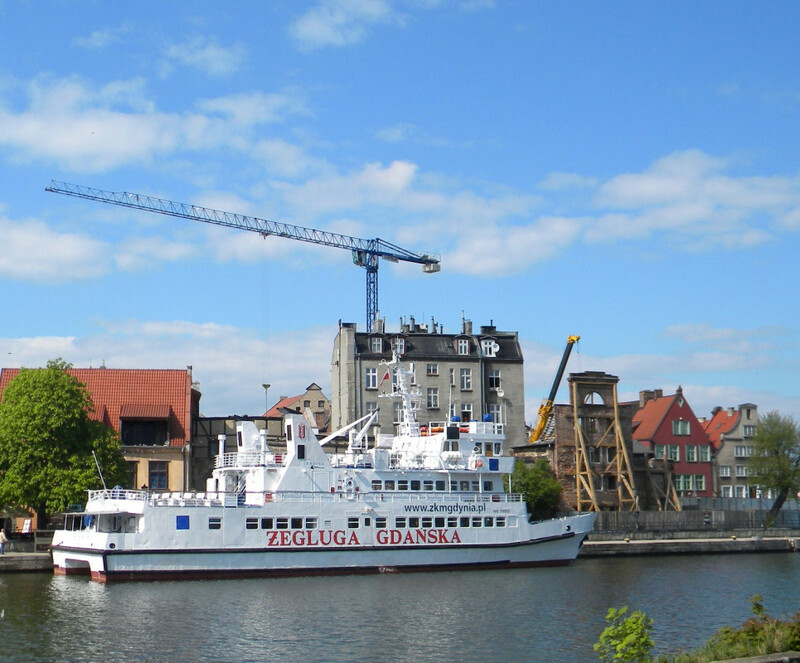 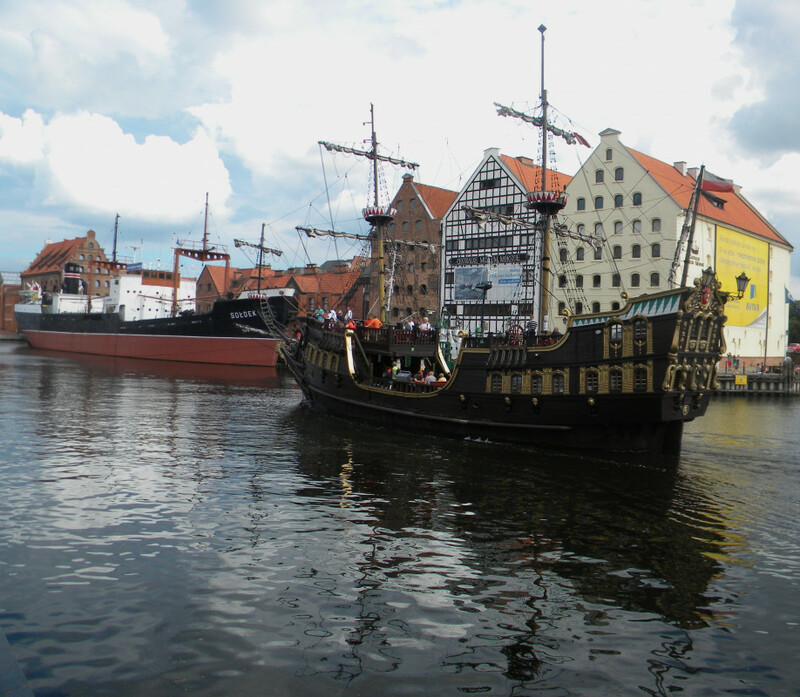 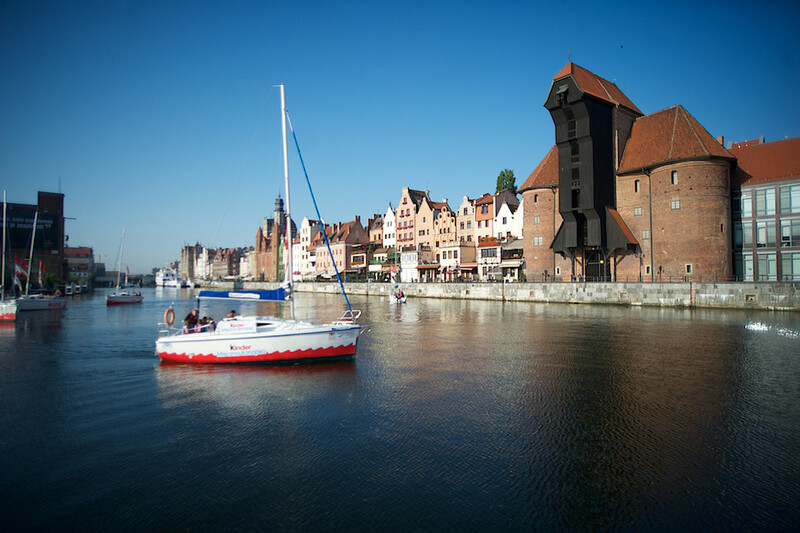 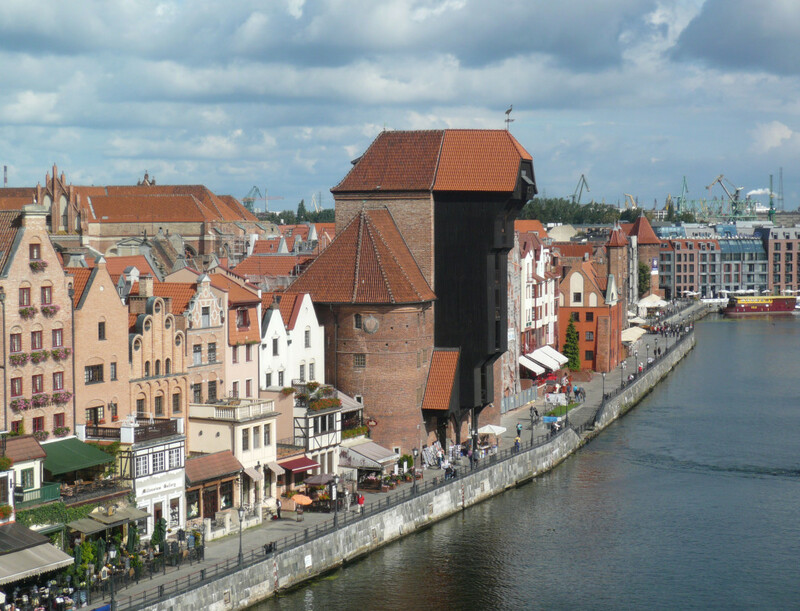 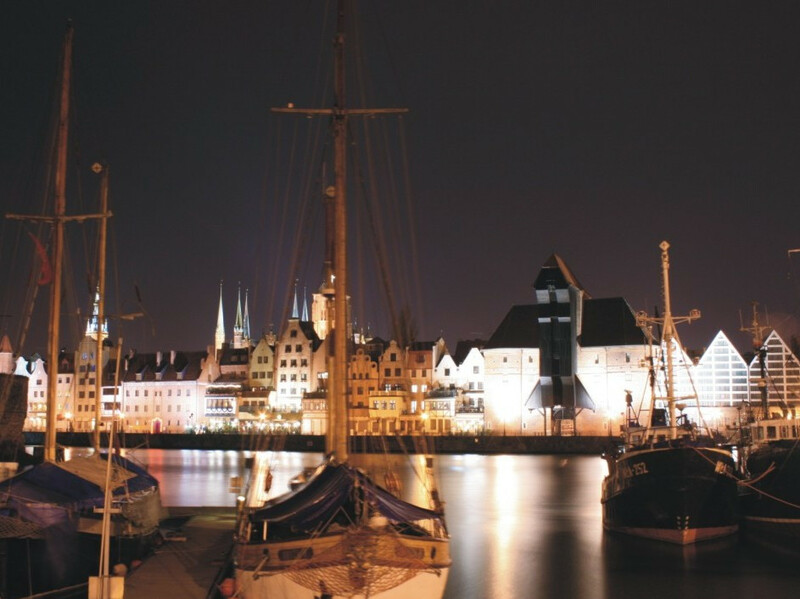 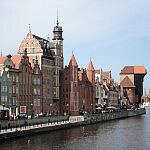 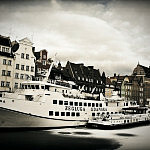 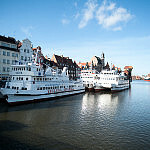 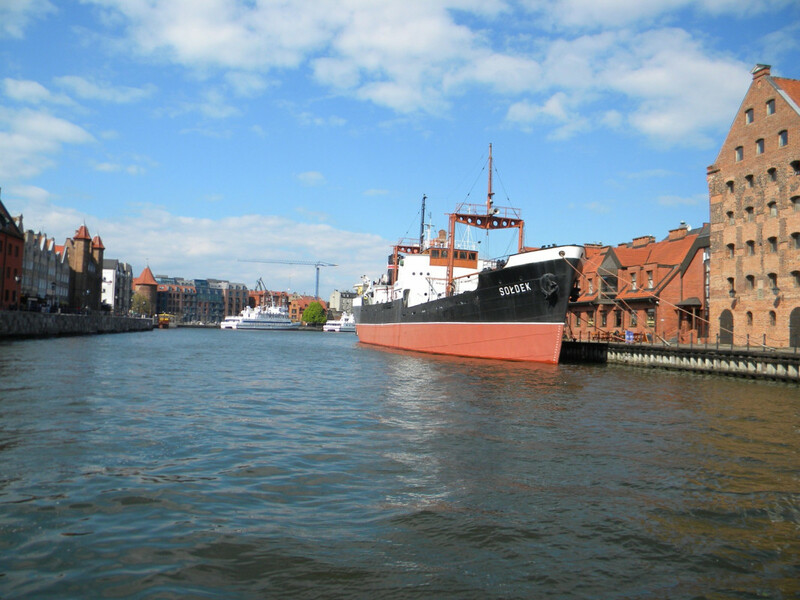 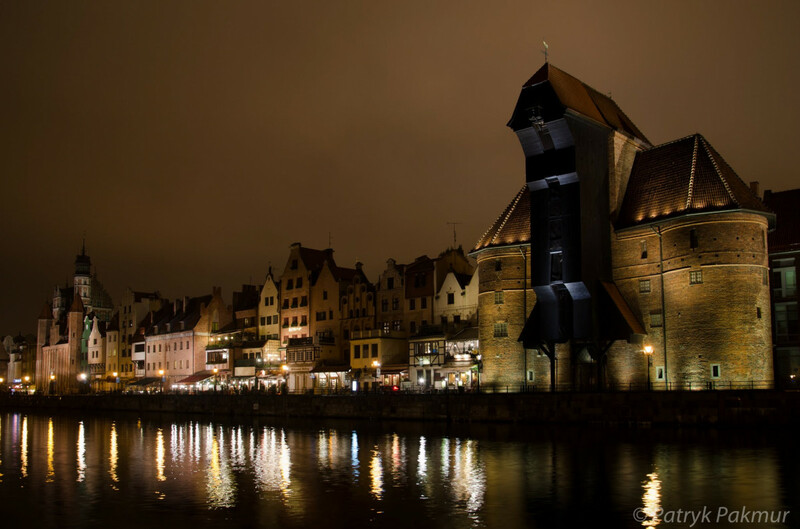 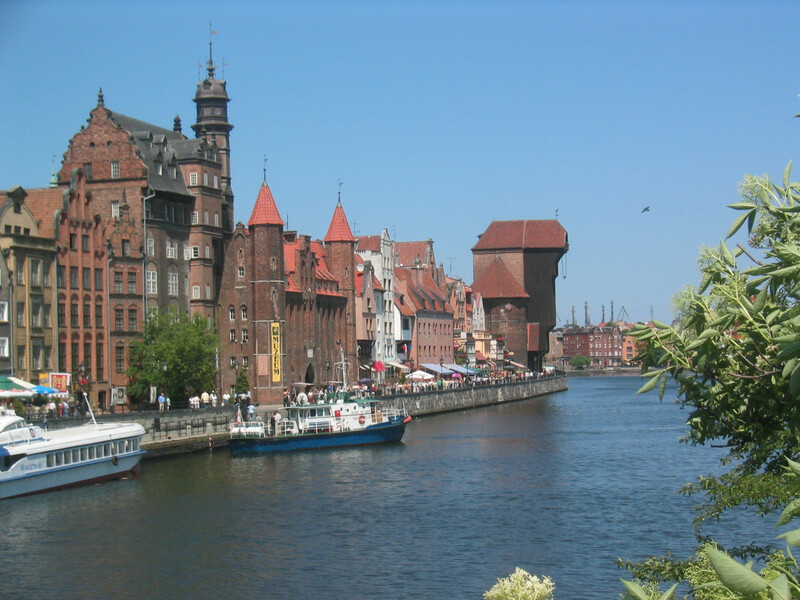 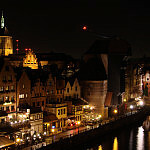 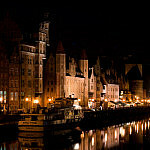 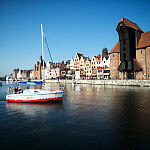 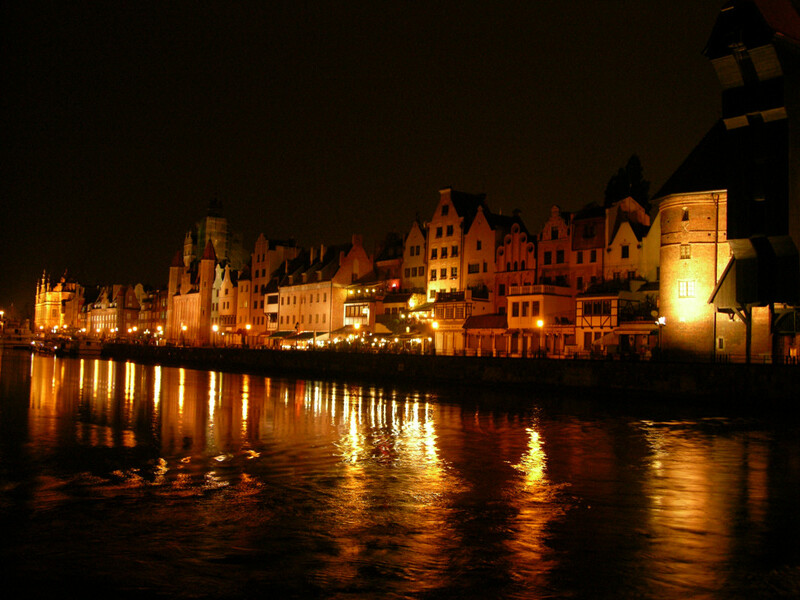 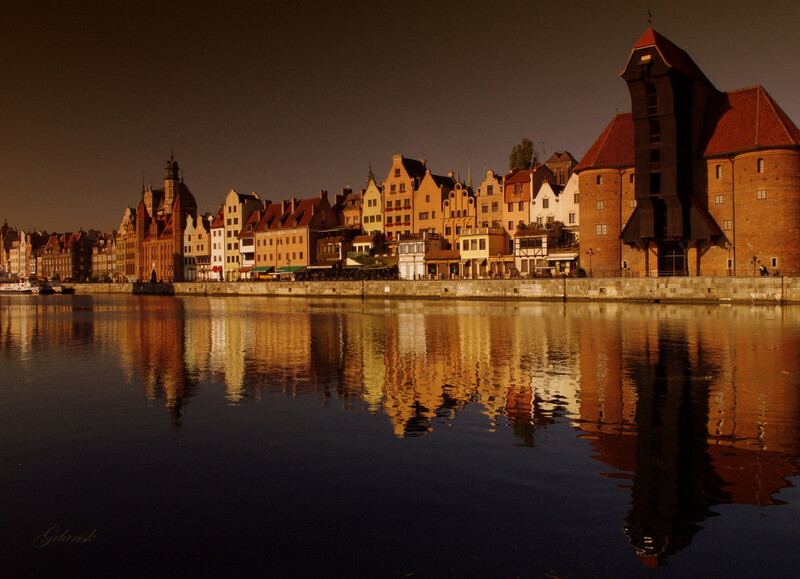 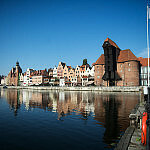 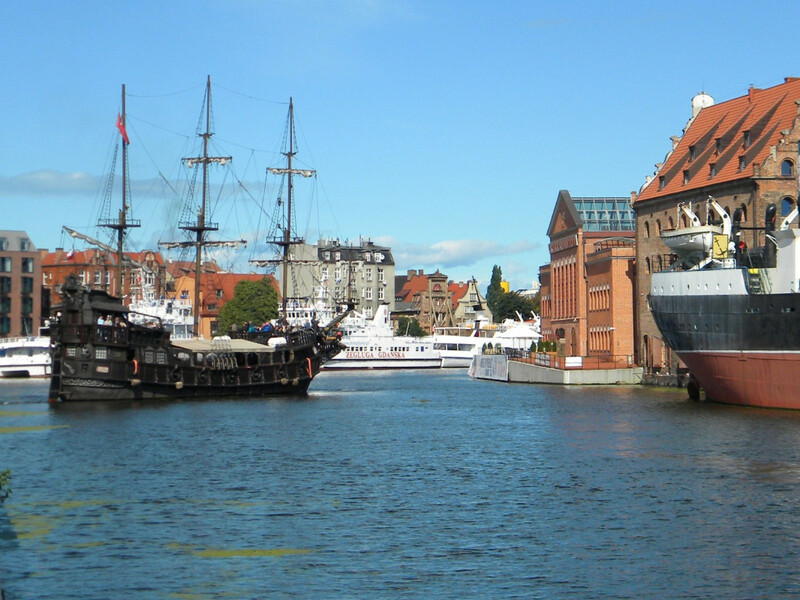 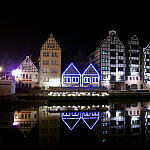 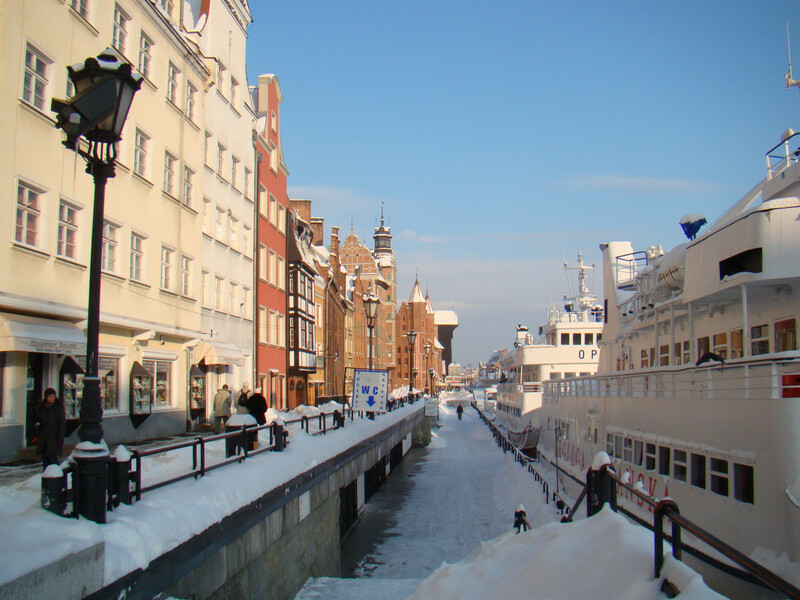 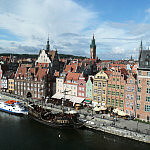 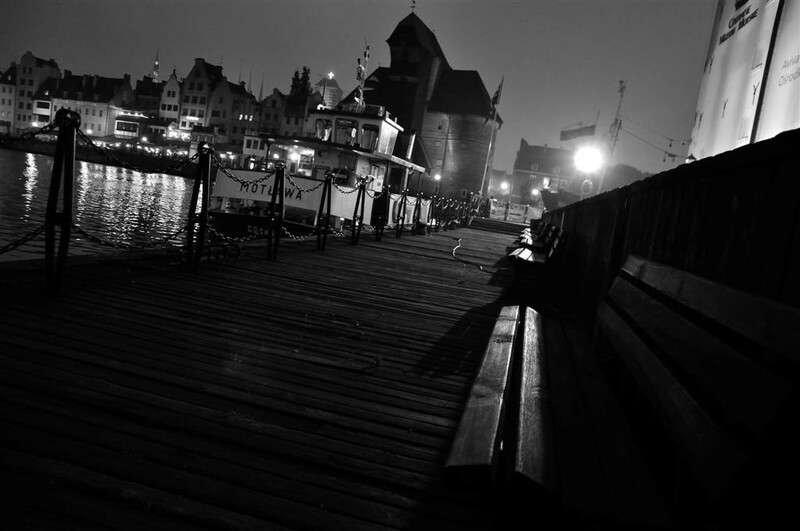 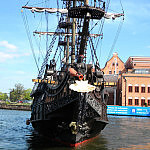 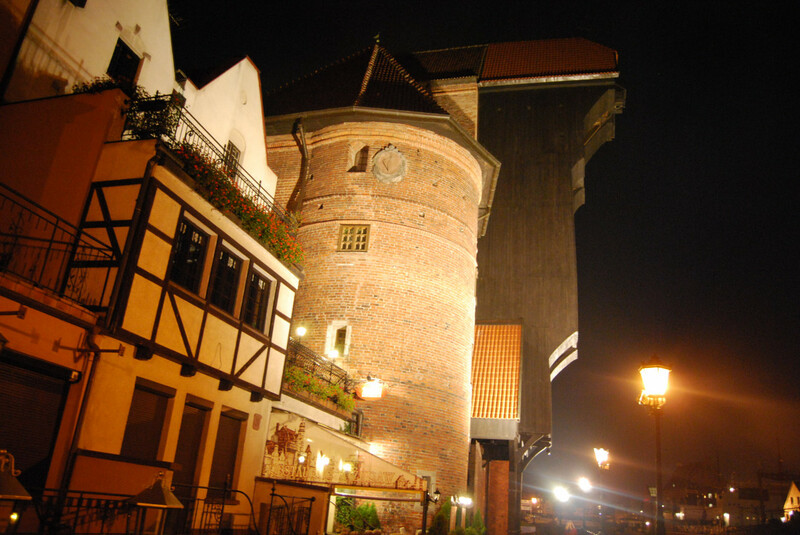 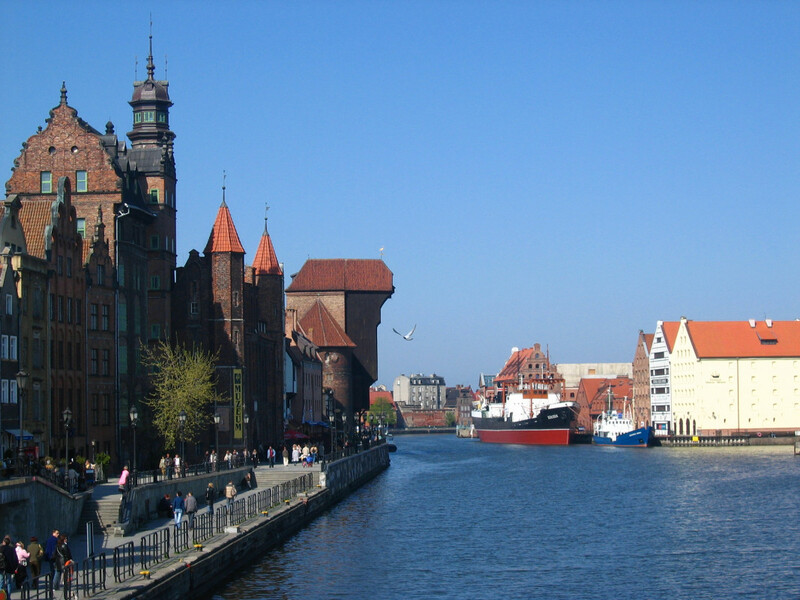 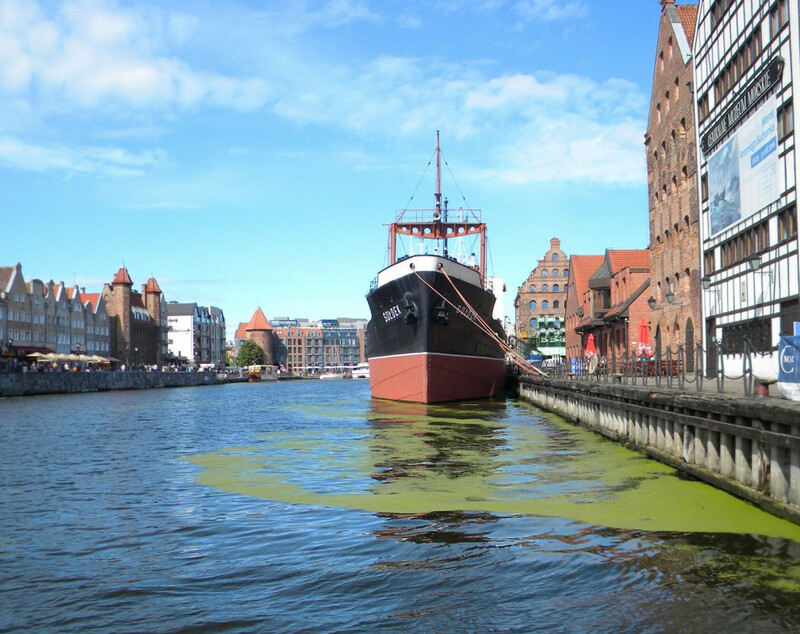 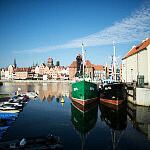 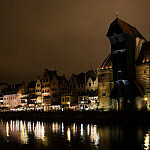 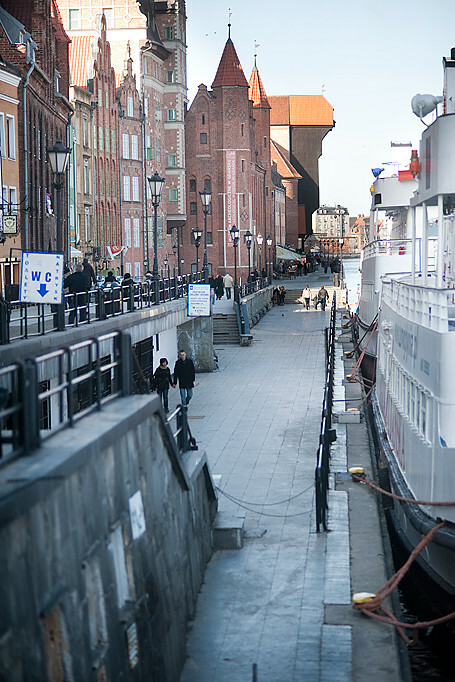 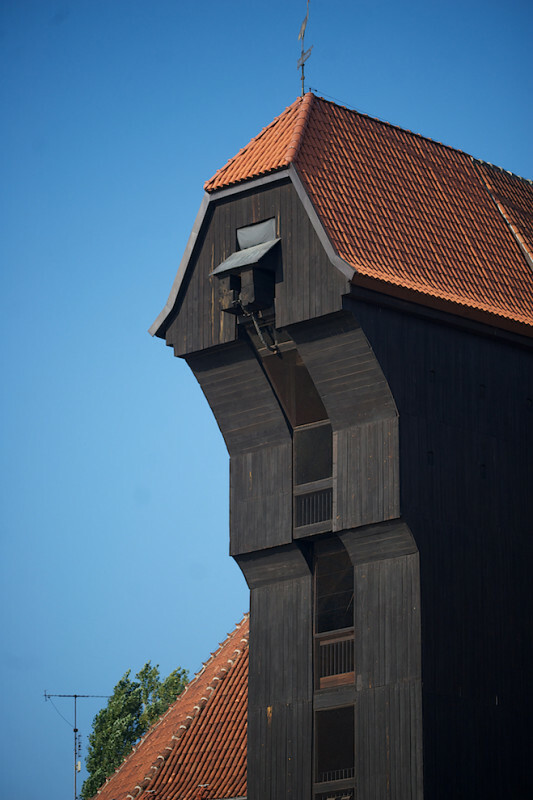 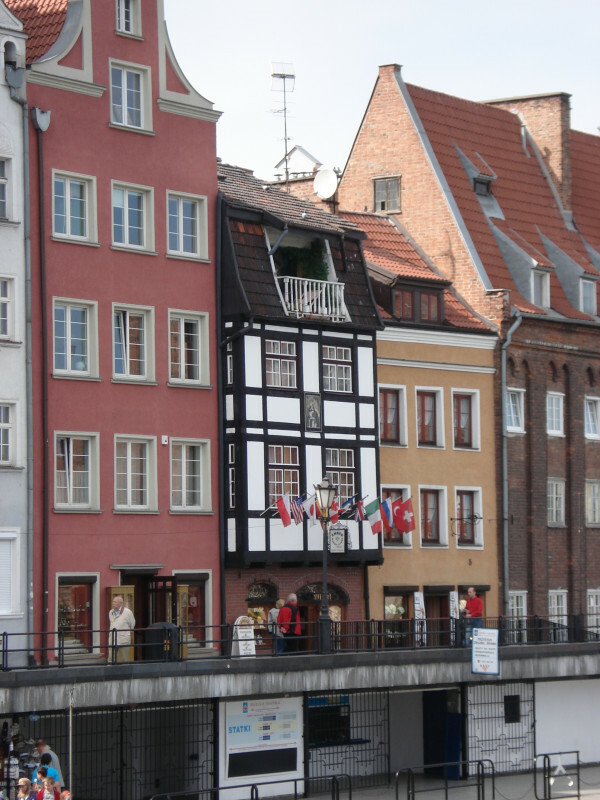 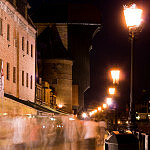 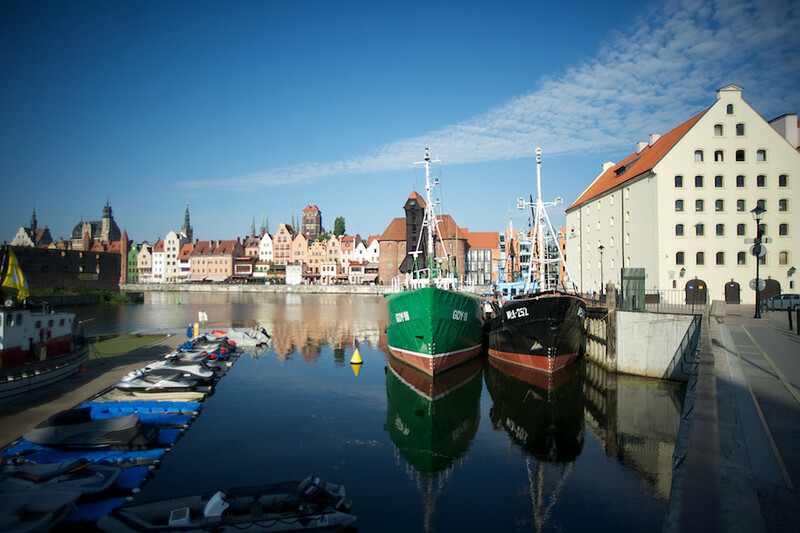 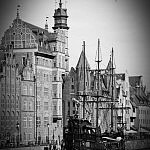 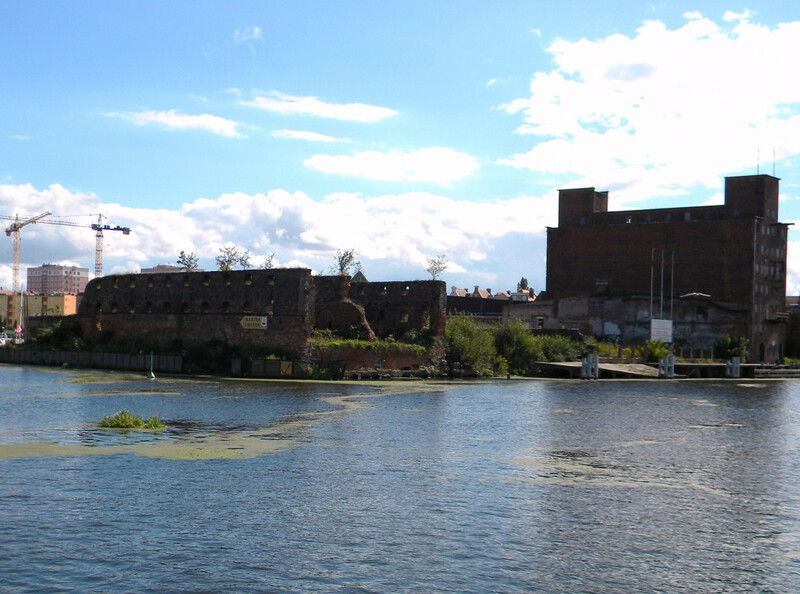 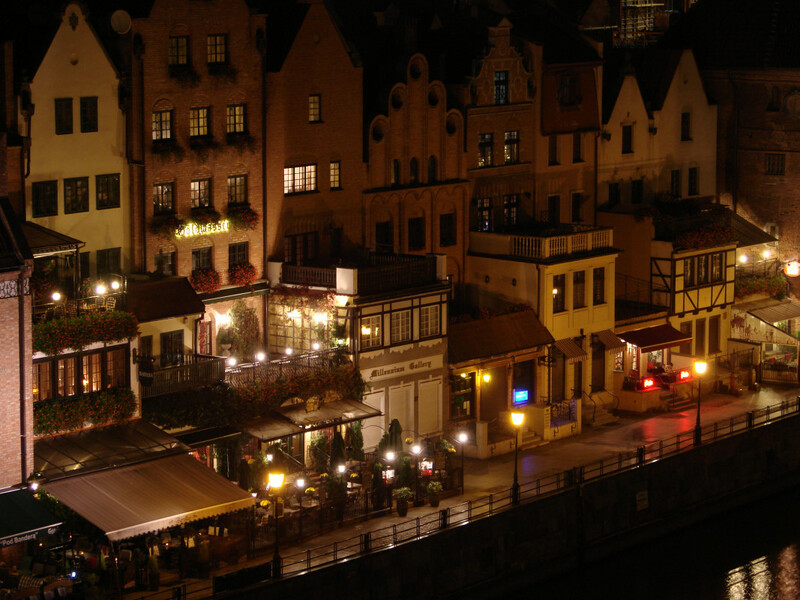 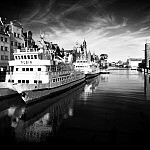 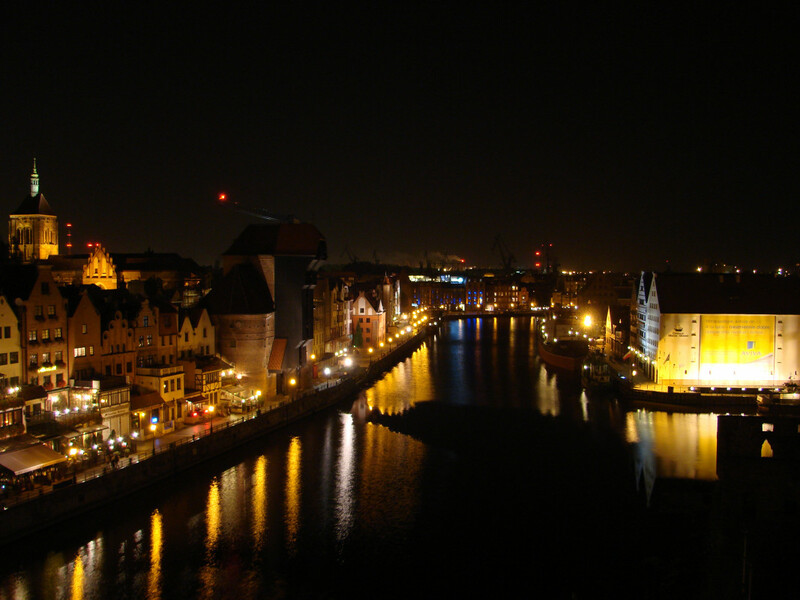 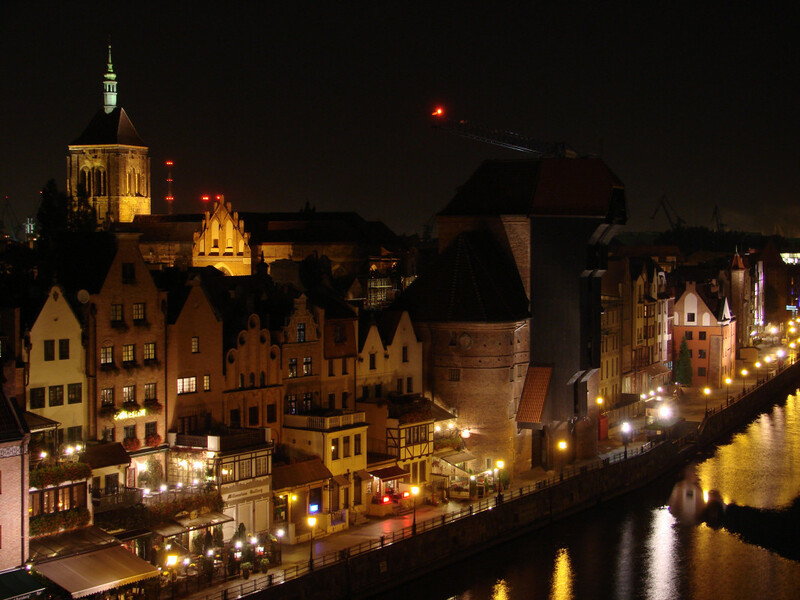 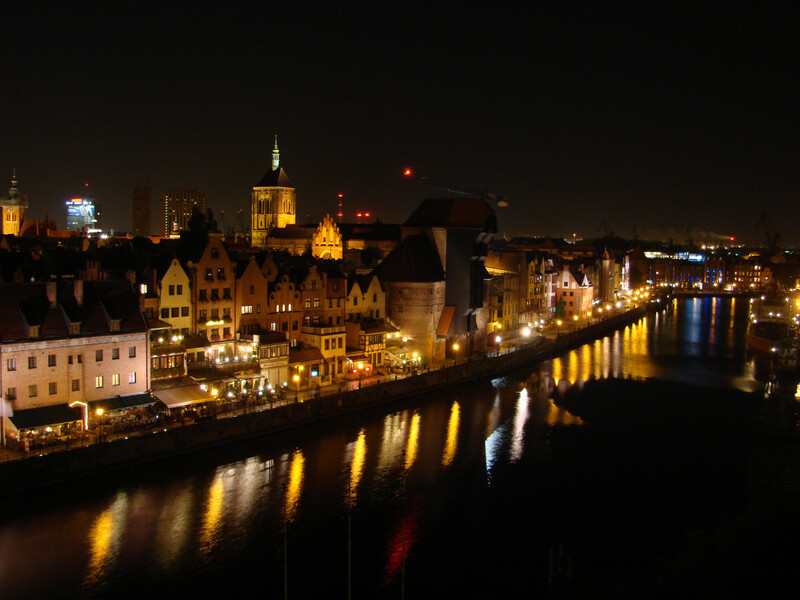 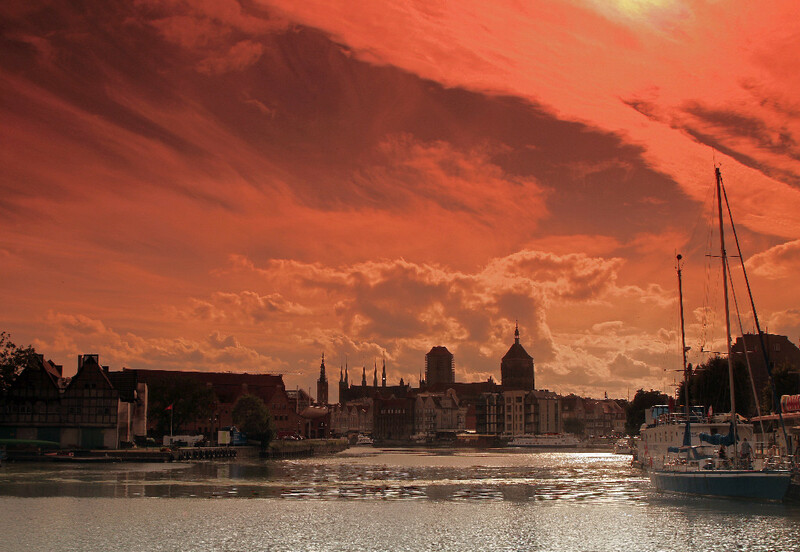 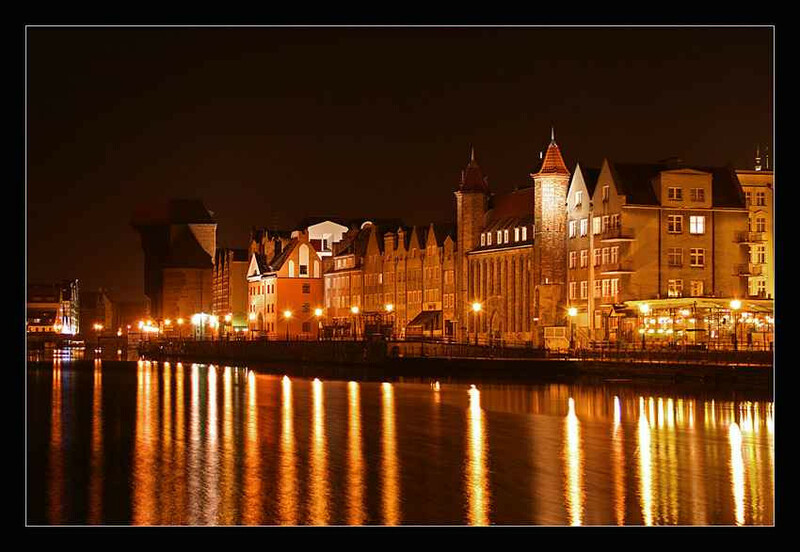 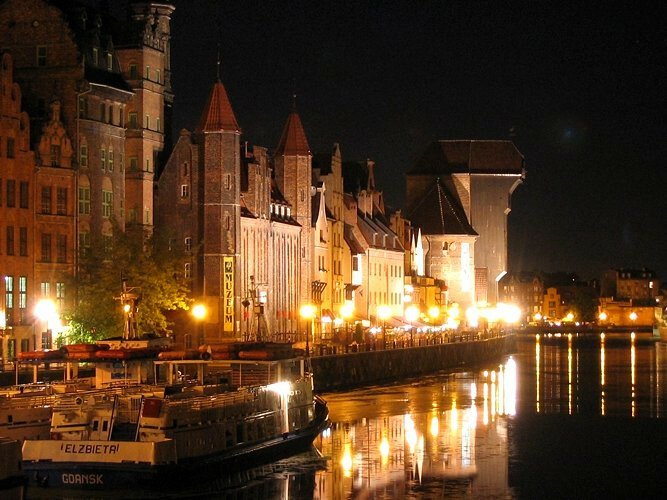 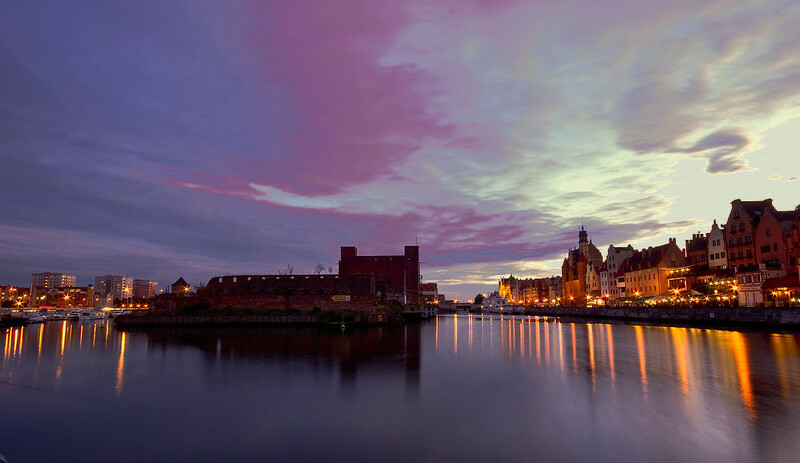 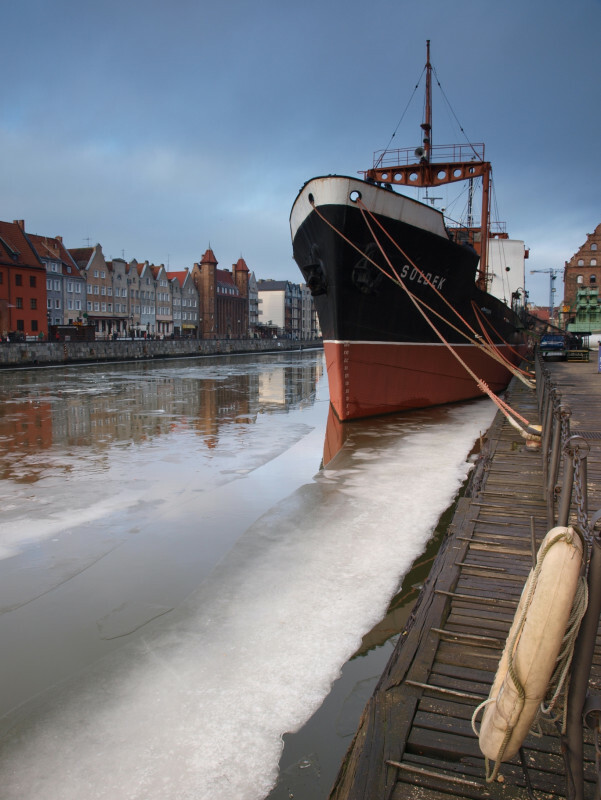 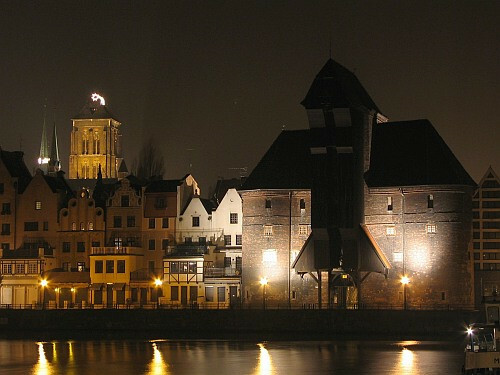 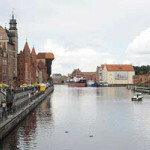 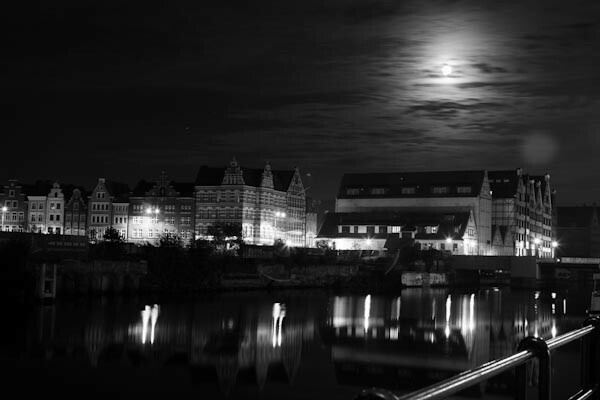 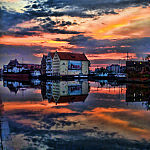 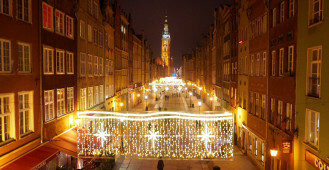 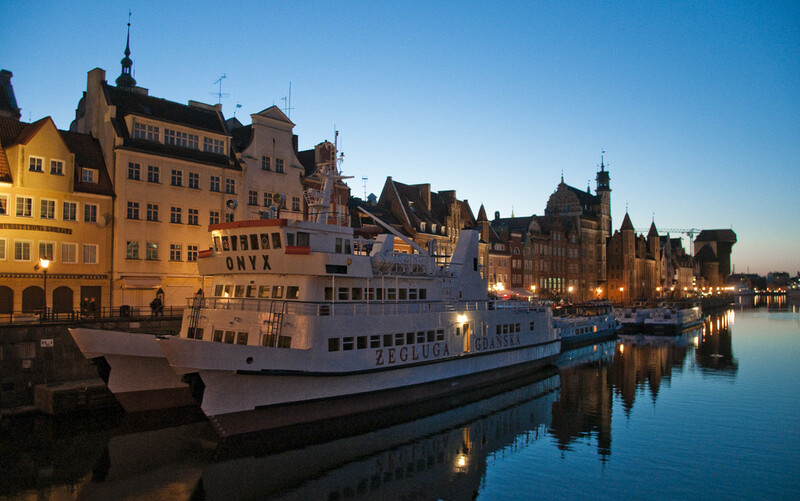 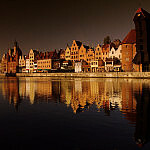 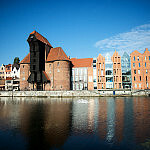 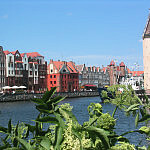 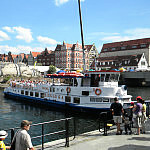 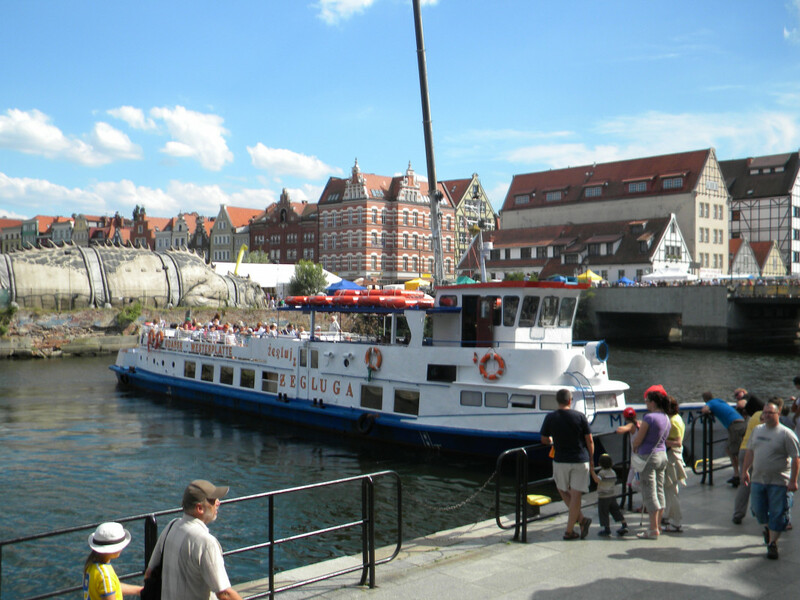 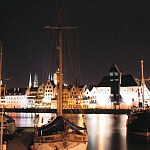 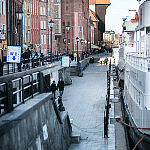 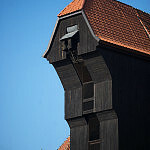 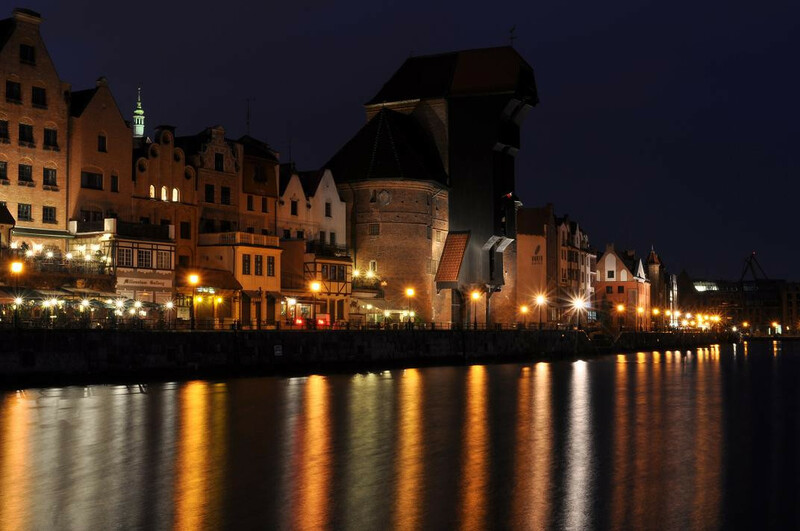 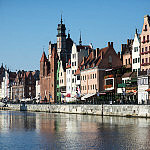 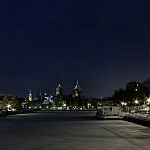 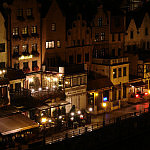 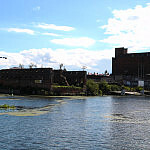 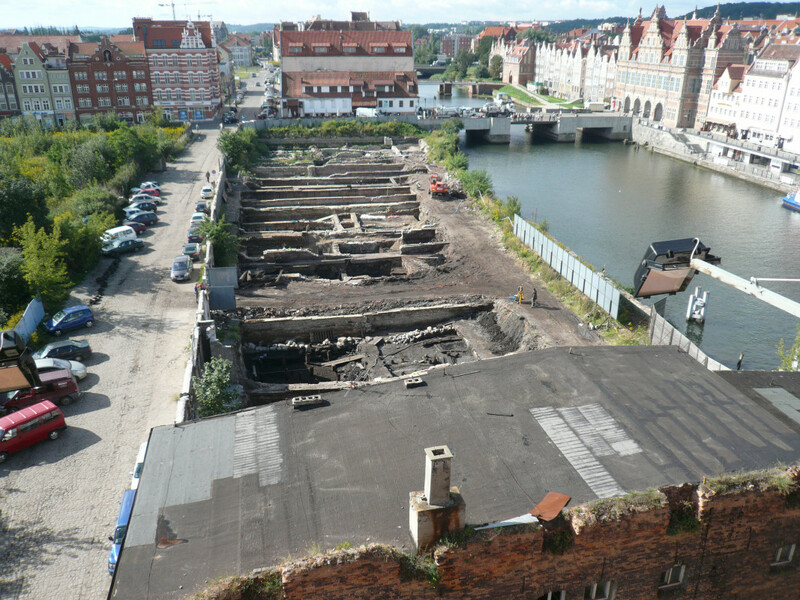 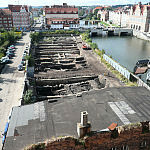 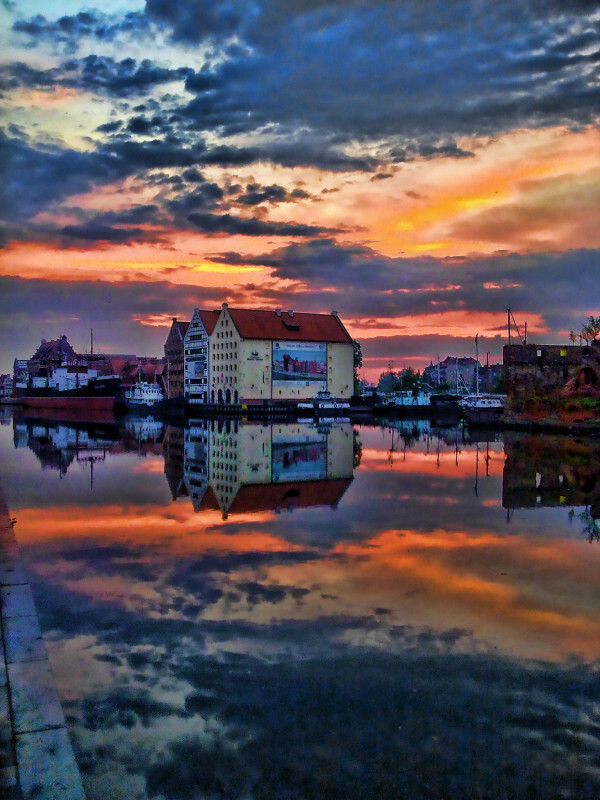 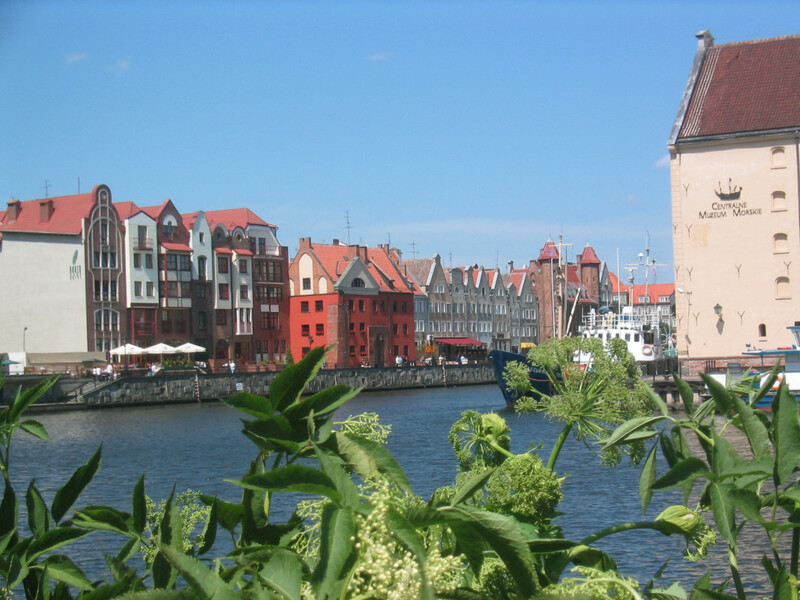 The Quayside, running along the Motława, contains a number of gothic gateways: Krowia from the 14th century, Maiacka and Chlebnicka from the 15th, Św Ducha rebuilt in the 90s, as well as the famous crane. 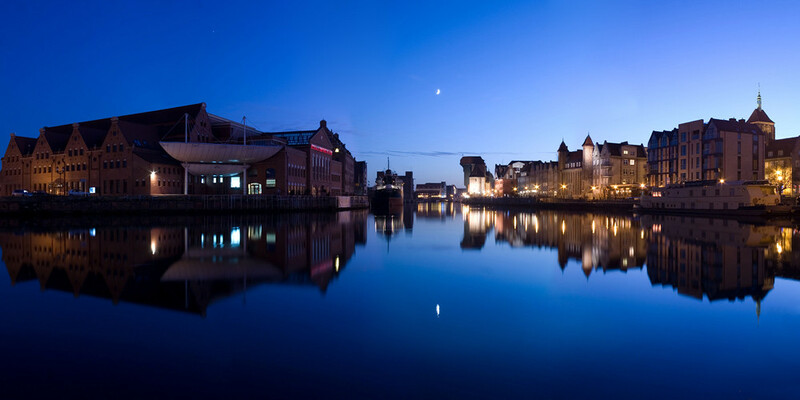 After the destruction of 1945, the quayside has been lovingly resorted to its original form.